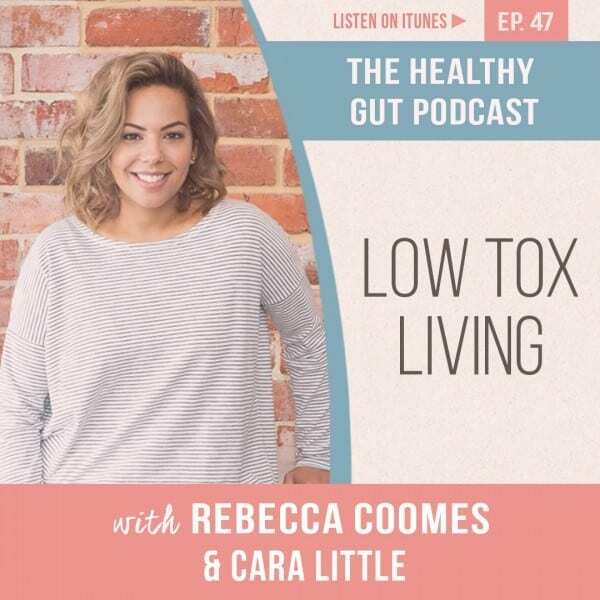 Hosted by Rebecca Coomes The Healthy Gut podcast is perfect for people who are currently treating Small Intestinal Bacterial Overgrowth (SIBO), or have an interest in learning more about how to achieve a healthy gut. Rebecca was diagnosed with SIBO in early 2015. After successfully treating the condition, she has dedicated her life to empowering others to achieve health, and is passionate about sharing information on all aspects of gut health, to support others on their journey to health. Find out about SIBO breath testing this week as Rebecca is joined by Eric Hamilton from Quinton Instrument Company. 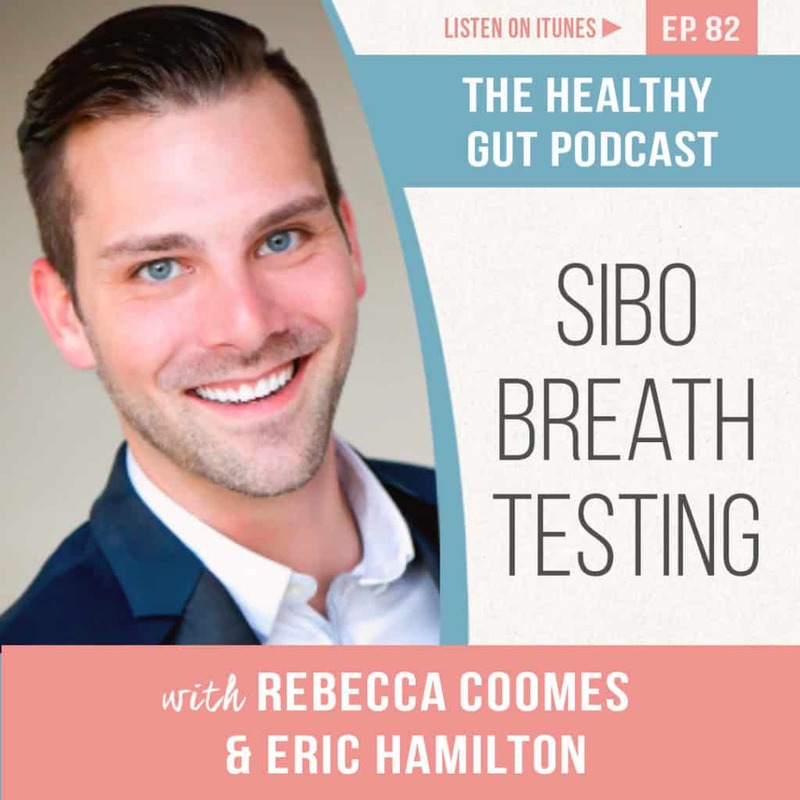 Rebecca and Eric discuss everything you’ve ever wanted to know about the SIBO breath test, from how the test actually works, to what to do if you cheat on your prep diet. Constipation is one of the leading symptoms of Small Intestinal Bacterial Overgrowth and can be a highly frustrating experience for many SIBO patients. Naturopath Lynda Griparic joins Rebecca Coomes to discuss what it is, why we develop it, and what we can do about it once we start experiencing it. 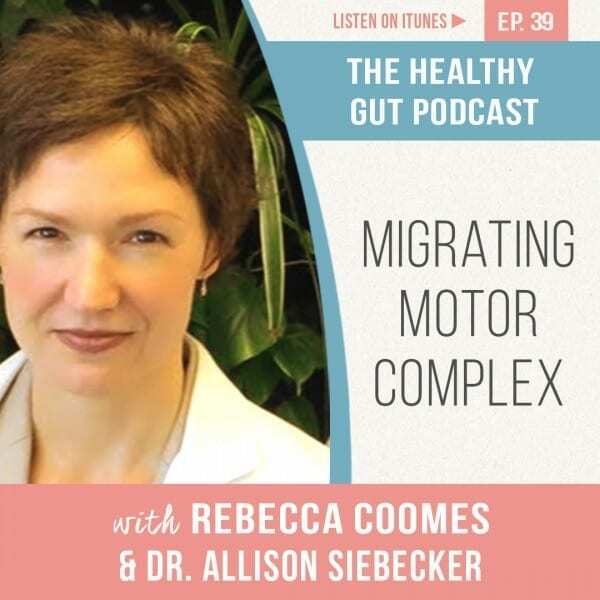 The Migrating Motor Complex (MMC) is an essential gut function but how does it work? Coming to you from a live recording at 8 Hearts in Portland, OR, Dr Siebecker talks all about what the Migrating Motor Complex is, what it does and why it’s one of our bodies essential functions. She and Rebecca also discuss how and why you might use prokinetics and their benefits. They also get into the subject of bowel movements; how often we should go to the toilet, how to achieve a good bowel movement and what to do if you are experiencing difficulties. Knowing what to eat when treating SIBO can be daunting and confusing and finding the ‘right’ diet for you can take time. 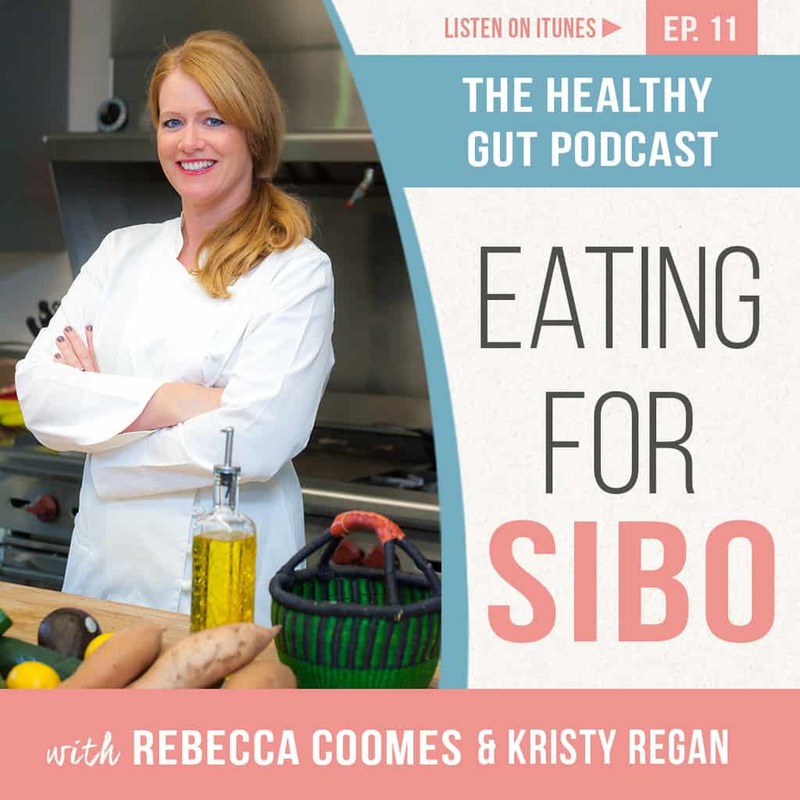 In today’s episode of The Healthy Gut podcast, Rebecca Coomes is joined by nutritionist Kristy Regan to talk all about what foods we should, and shouldn’t, be eating while treating SIBO. 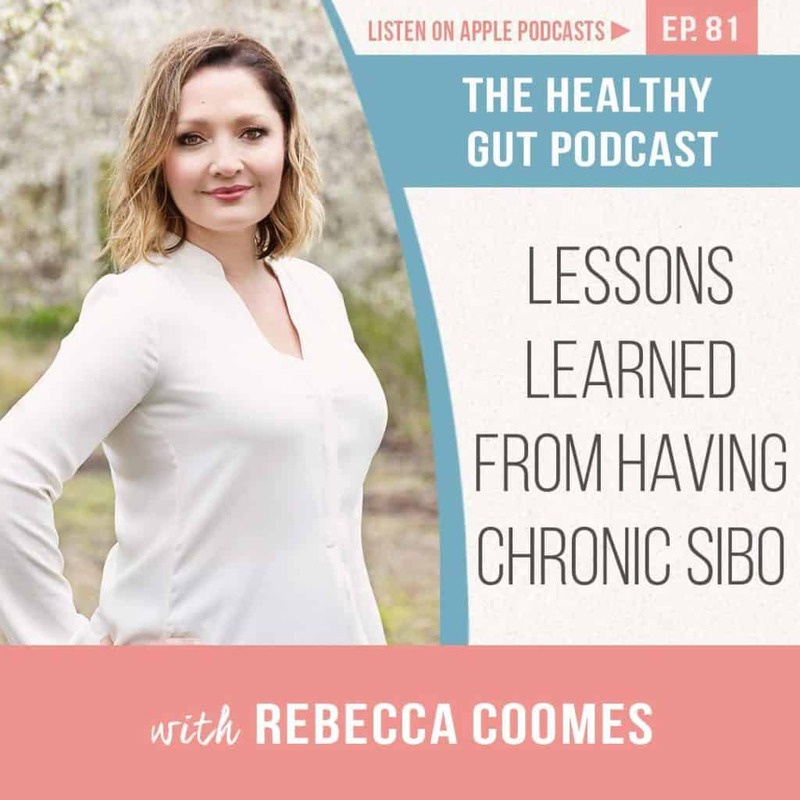 Rebecca Coomes discusses the lessons she has learned and the insights she has gained from having chronic SIBO for many years. Rebecca is joined by Kristy Campbell. 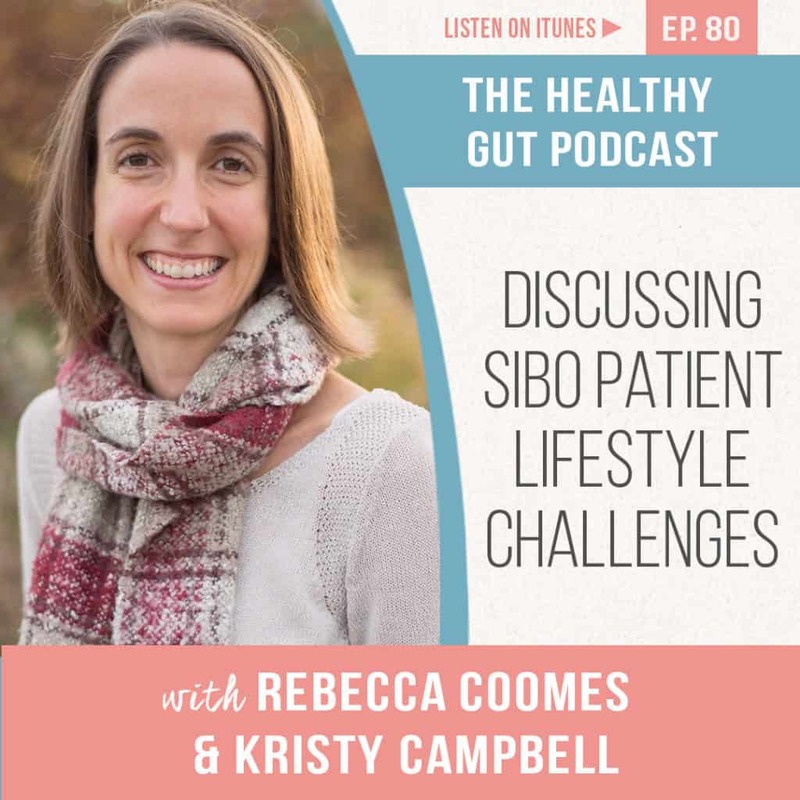 Kristy called into the Podcast with questions for Rebecca about managing SIBO lifestyle challenges. Understanding how your emotional health and wellbeing influences and affects your gut health can be a light bulb moment on your SIBO journey. 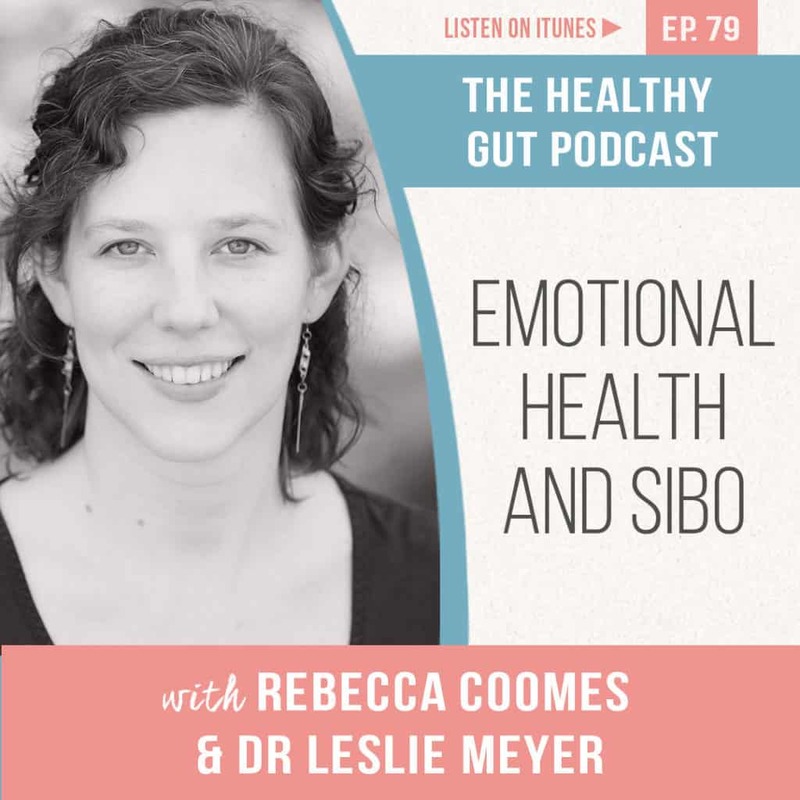 This week Rebecca is joined by Dr Leslie Meyers, a Naturopathic Doctor with a particular interest in gastrointestinal issues. 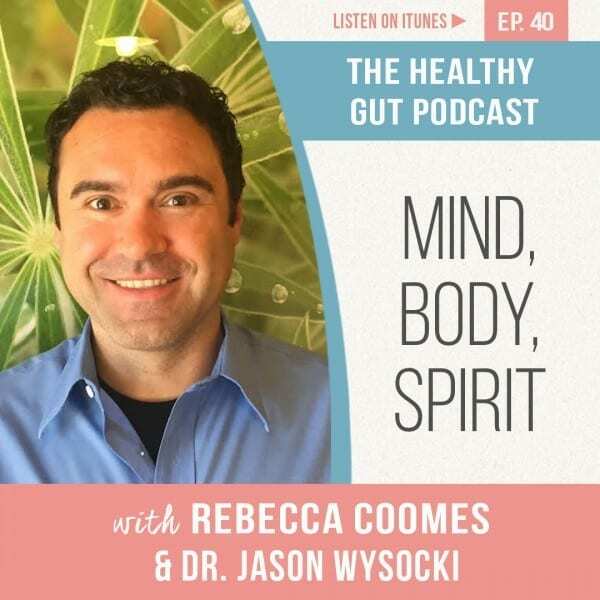 Rebecca and Dr Meyers discuss the gut-brain axis, the effect of anxiety and a heightened nervous system on your digestion and why self awareness is a big part of the gut health puzzle. This week Rebecca is sharing her, ‘Getting Ready For The Holidays’, webinar from the SIBO Coaching Program. If you’ve ever looked into changing your eating habits in order to address your gut health then you’ve probably heard of the GAPS Protocol. GAPS is an acronym that stands for, Gut And Psychology/Physiology Syndrome and it has been proven to be effective in helping people heal and reverse food allergies and intolerances. 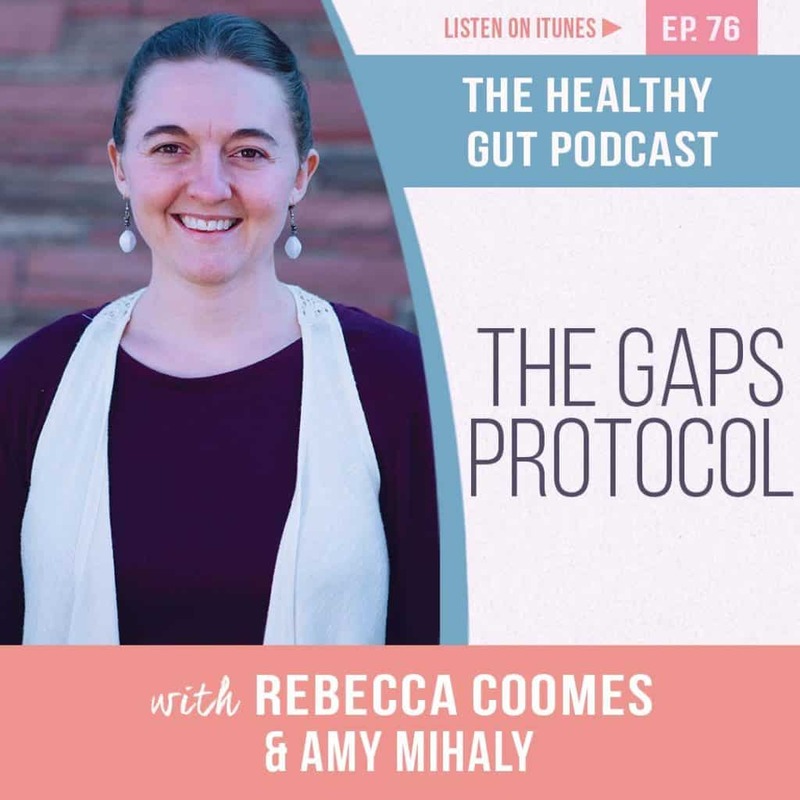 This week Rebecca is joined by Nurse and Certified GAPS Practitioner Amy Mihaly, they discuss Amy’s own personal experience of return to health from using the GAPS protocol. They also talk about the core principles of GAPS, the difference between GAPS and other SIBO diets and what the transition to the broader GAPS diet looks like. Having a diverse microbiome is key to optimal health. Dr Jason Hawrelak joins Rebecca this week to discuss her recent uBiome Explorer test results. They discuss why having a diverse microbiome is important, how you can discover what your own microbiome diversity looks like and simple strategies to improve it. If you’re looking for relief from SIBO have you considered doing the Elemental Diet? Rebecca’s SIBO has returned and she’s determined to find a quick and effective solution, that will hopefully bring lasting relief from her symptoms. 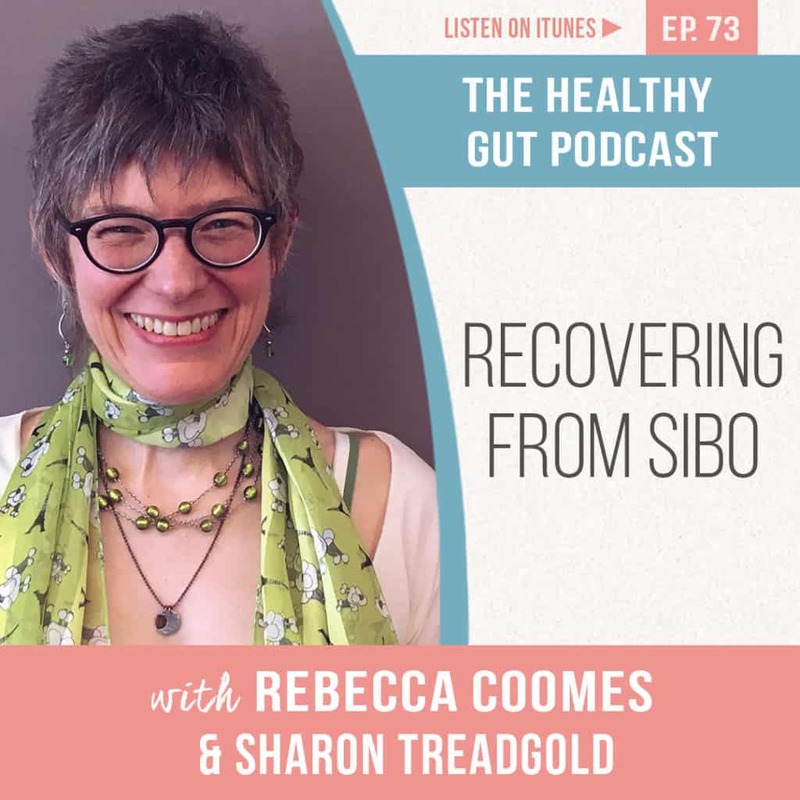 Rebecca is delighted to be joined by Sharon Treadgold from the SIBO Coaching Program, to discuss how she has gone about recovering from SIBO. 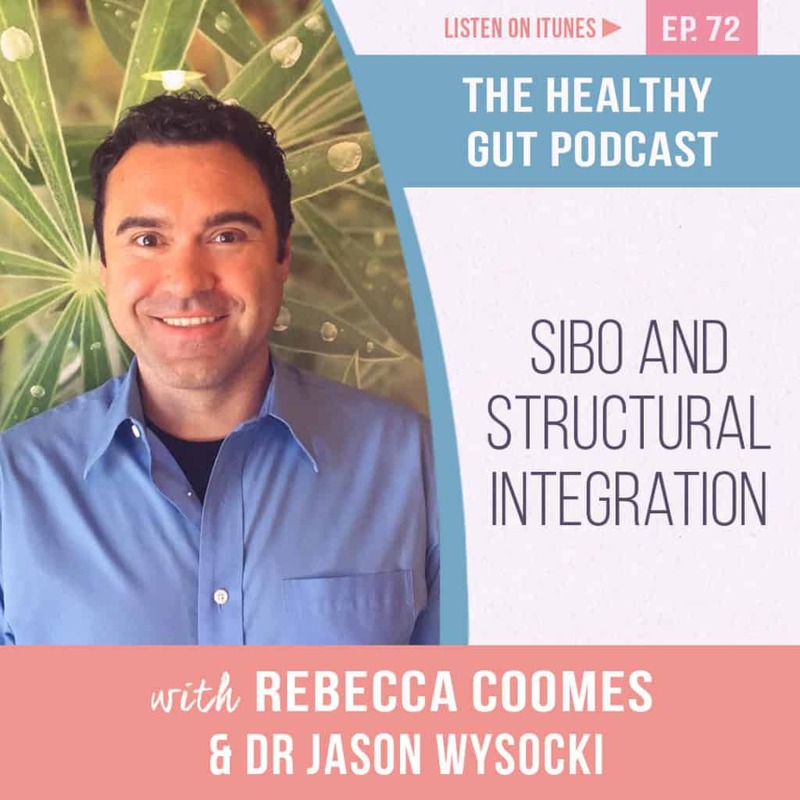 This week Rebecca is joined by Dr Jason Wysocki to discuss structural integration, what it is, how it works and why it may be the right treatment for you. Eating disorders are a common issue amongst the SIBO community and tackling them is a vital part of recovering from this condition. This week Rebecca is joined by Diane Ryan who specialises in helping people to tackle eating disorders and to identify the emotional triggers that have created them. Feeling daunted by travelling with SIBO? 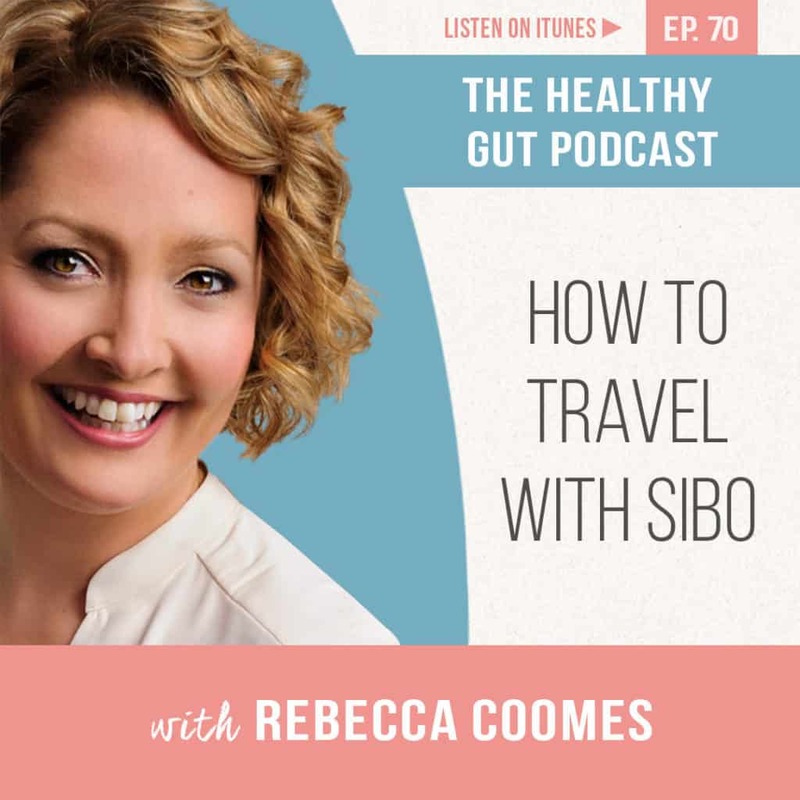 This week Rebecca shares her top tips and hints for travelling sucsessfully with SIBO. 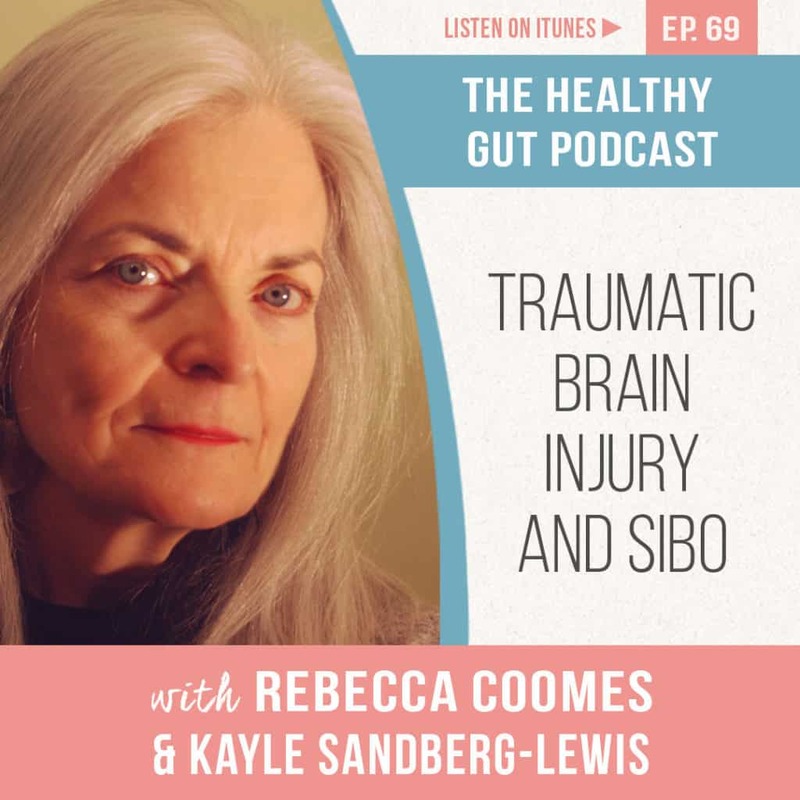 Kayle Sandberg-Lewis joins Rebecca this week to discuss traumatic brain injuries (TBI) and the effect that they can have on your gut health. If you’re suffering with constant bloating, even after completing your SIBO treatment, have you considered whether SIFO could be the culprit? 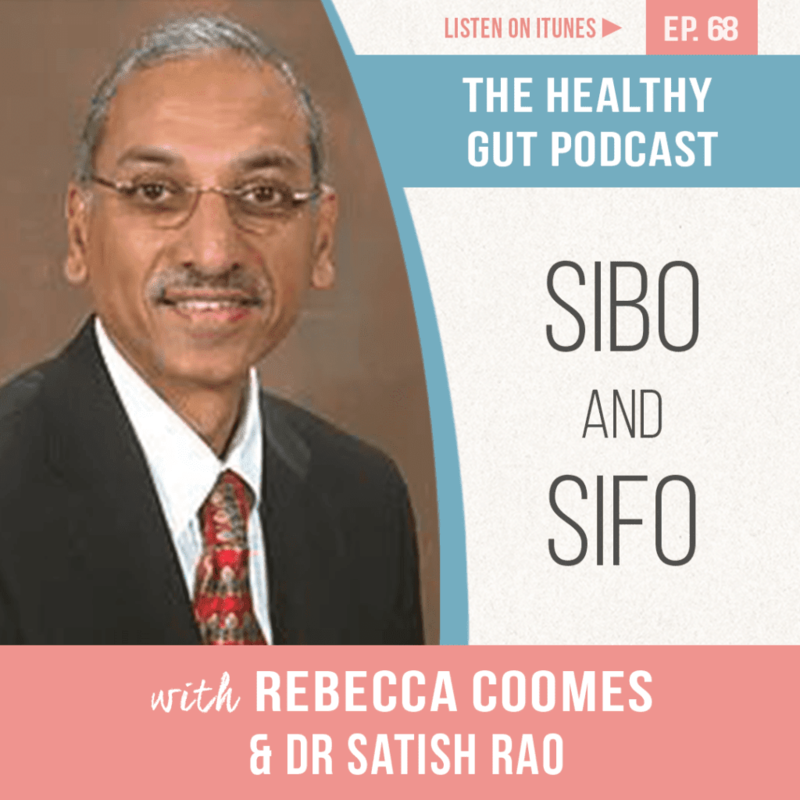 This week Rebecca is joined by Dr Satish Rao, a clinician, researcher and educator, to discuss what SIFO is, and the overlap between SIFO and SIBO. Dr Rao talks to Rebecca about how SIFO is identified in the first instance and what the treatment pathway looks like. 11 years ago a diagnosis of Rheumatoid Arthritis took Clint Paddison on a journey to learn as much as he could about the condition. Like Rebecca’s own SIBO journey, Clint is on a mission to inform and educate others about Rheumatoid Arthritis. 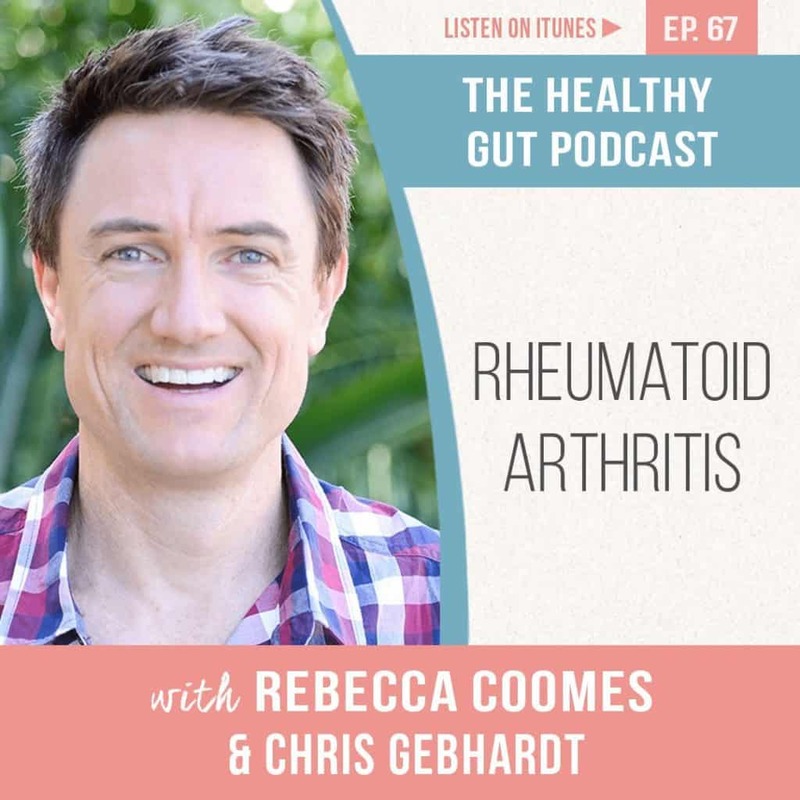 He and Rebecca discuss the link between poor gut health and the occurrence of autoimmune conditions like Rheumatoid Arthritis. They also talk about the nutritional principles that guide his program and the importance of mindset when treating a painful and sometimes debilitating condition. Do you feel overwhelmed when it comes to deciding if you should follow a SIBO diet, or which one you should follow? On today's episode, Rebecca shares the guiding principles around SIBO nutrition, how to choose one, what pitfalls to look for and why a SIBO diet should only ever be a short-term thing. 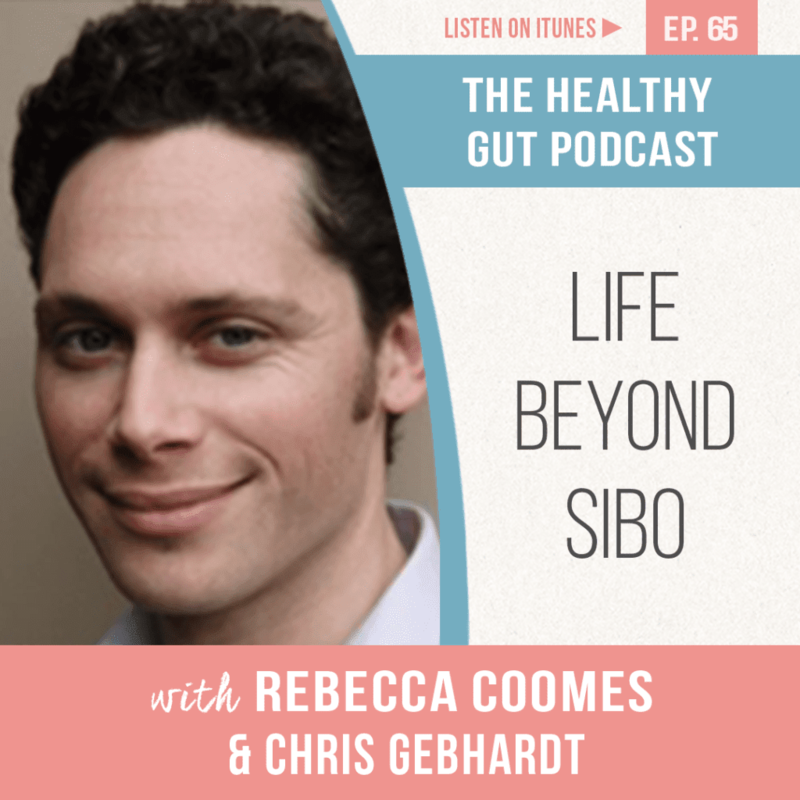 Chris Gebhardt is one of Rebecca’s own naturopaths, he joins her this week to discuss the important topic of life after SIBO. During SIBO treatment many people refer to things, going back to normal, once their treatment is completed. 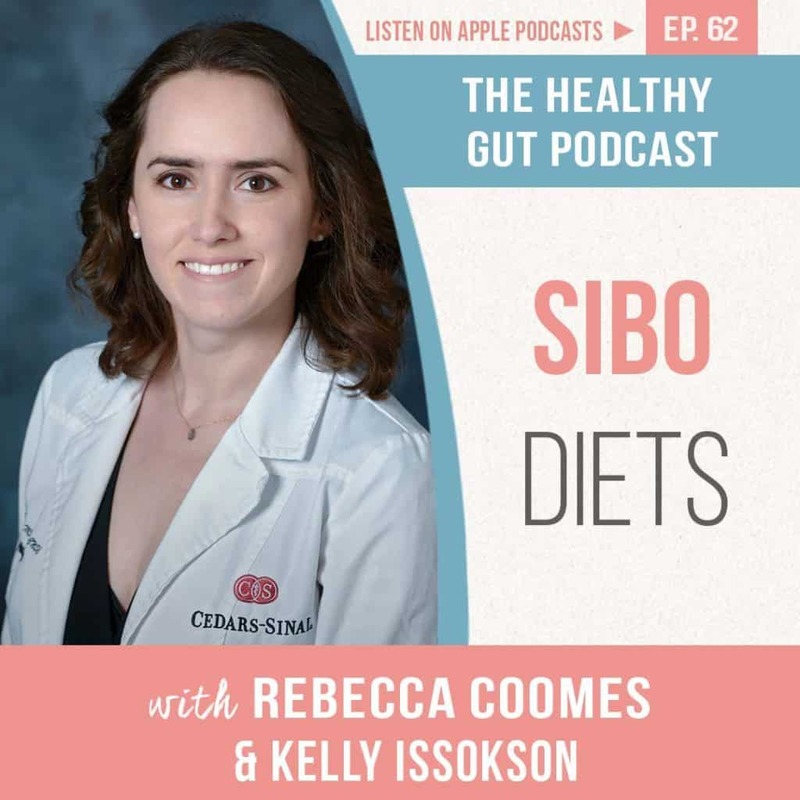 Chris and Rebecca discuss what a new normal looks like and how to create robust gut health after SIBO has been cleared. They also look at why clearing SIBO before addressing other gut health issues is key. Mark Pimentel, M.D., is Professor of Medicine, Geffen School of Medicine and Associate Professor at Cedars-Sinai Medical Center in Los Angeles, California. Rebecca joined him live at Cedars-Sinai in Los Angeles to speak to him about his research into Hydrogen Sulphide SIBO. Dr Steven Sandberg Lewis is recognised as a leading practitioner in Naturopathic gastroenterology. 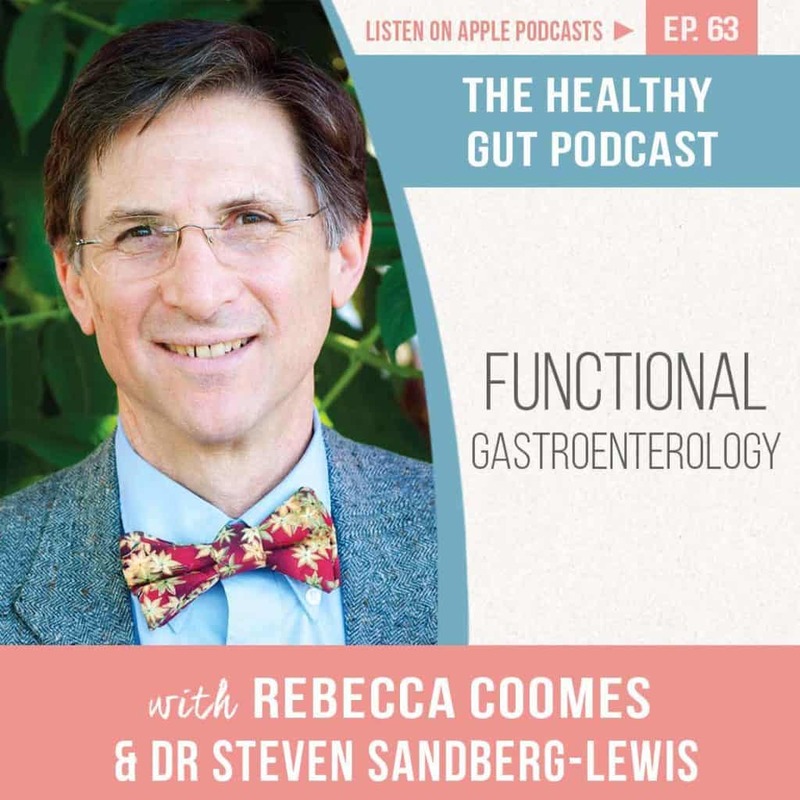 He joins Rebecca on The Healthy Gut Podcast to discuss functional gastroenterology and why we need to take a holistic approach to our digestive health. They discuss SIBO, reasons why SIBO treatment might not be working, what to do if you suffer with bloating, Ehlers-Danlos Syndrome, Pro kinetics and laxatives, and much more. Kelly Issokson, MS, RD, CNSC, specializes in treating patients with digestive conditions such as IBD, IBS, and SIBO. On today's episode, she discusses whether we should be restricting our diet while following a SIBO treatment protocol, which diet we should follow and what to do when we fall off the waggon. Dr Rachel Fresco is an acupuncturist, PhD, and founder and CEO of Bio-Botanical Research. Since 1989, Dr. Fresco has utilized her background in naturopathy, Chinese medicine, and clinical nutrition to create products that have a significant impact on challenging clinical conditions. 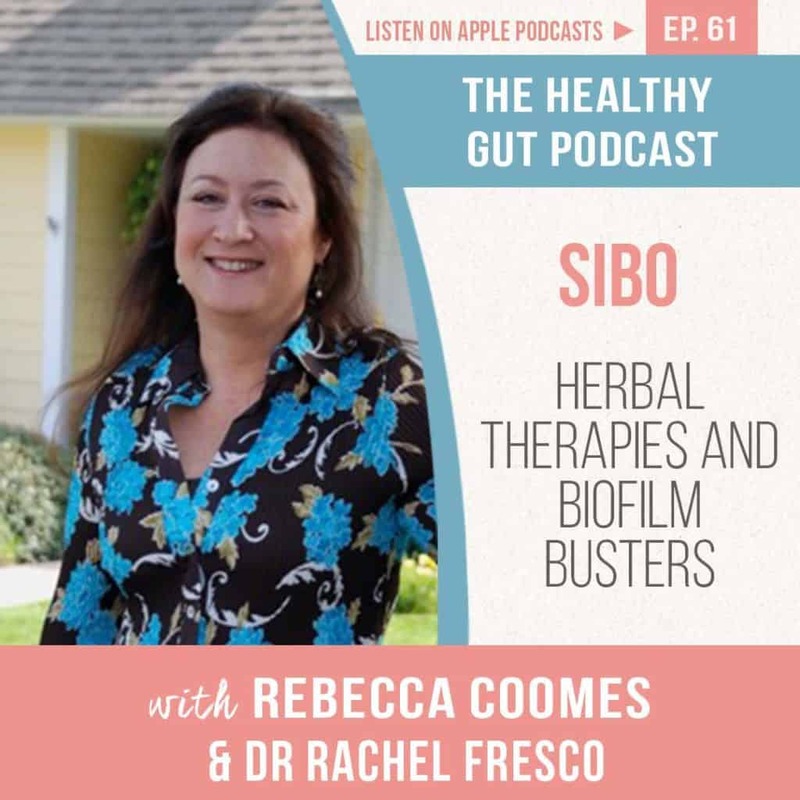 She joins Rebecca to discuss how herbal therapies can be useful in the treatment of SIBO and biofilms. As Rebecca Coomes went through her SIBO treatment, she realised she needed to address more than just her treatment alone. She developed the 5 Key Pillars to Health. On today's podcast, she discusses the first key pillar: Awareness, and why it is a fundamental first step to recovery from SIBO and IBS. 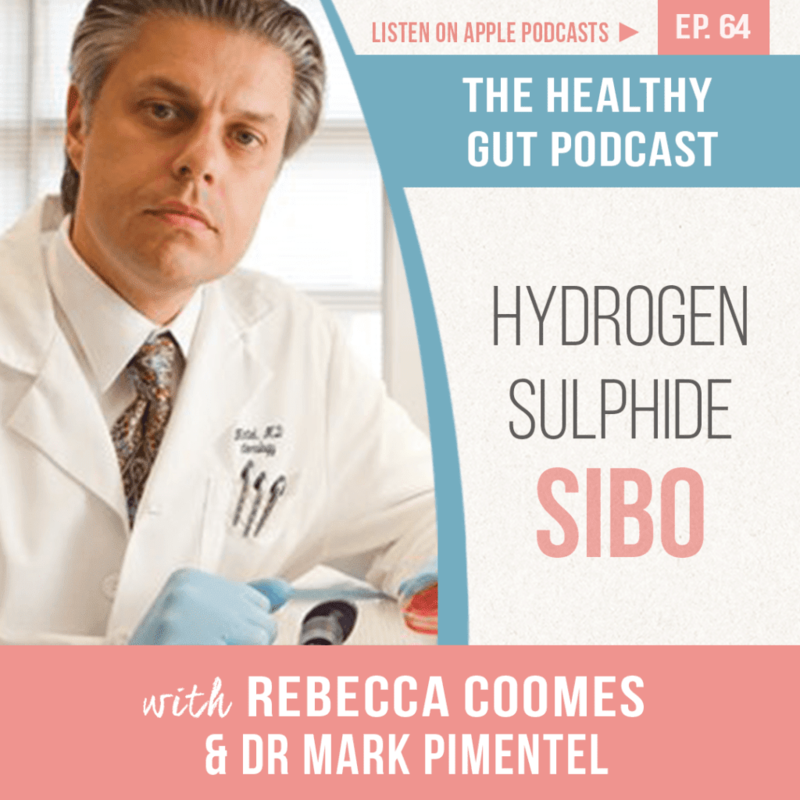 Dr Mark Pimentel is a leading pioneer in the world of SIBO research and has been the #1 most request guest to appear on The Healthy Gut Podcast. 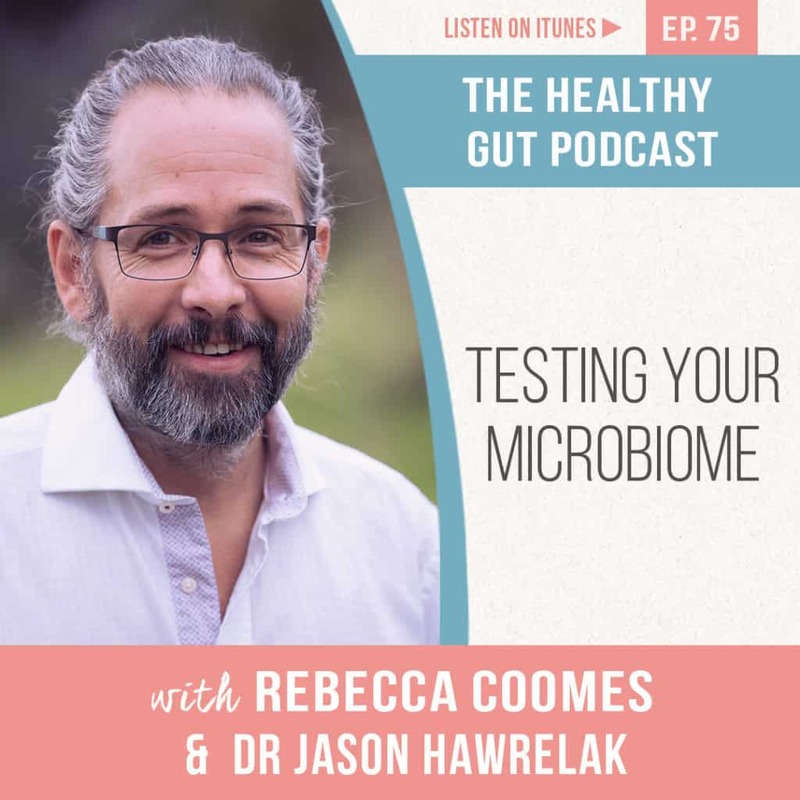 Listeners of The Healthy Gut Podcast submitted a wide range of questions they wanted answered by Dr Pimentel, and today Rebecca shares her interview with him. They cover a wide range of topics on all things SIBO. Do you experience chronic pain with your SIBO? Do you still experience painful digestive symptoms despite getting the all-clear? Or perhaps you’re someone who reacts to everything, even water. 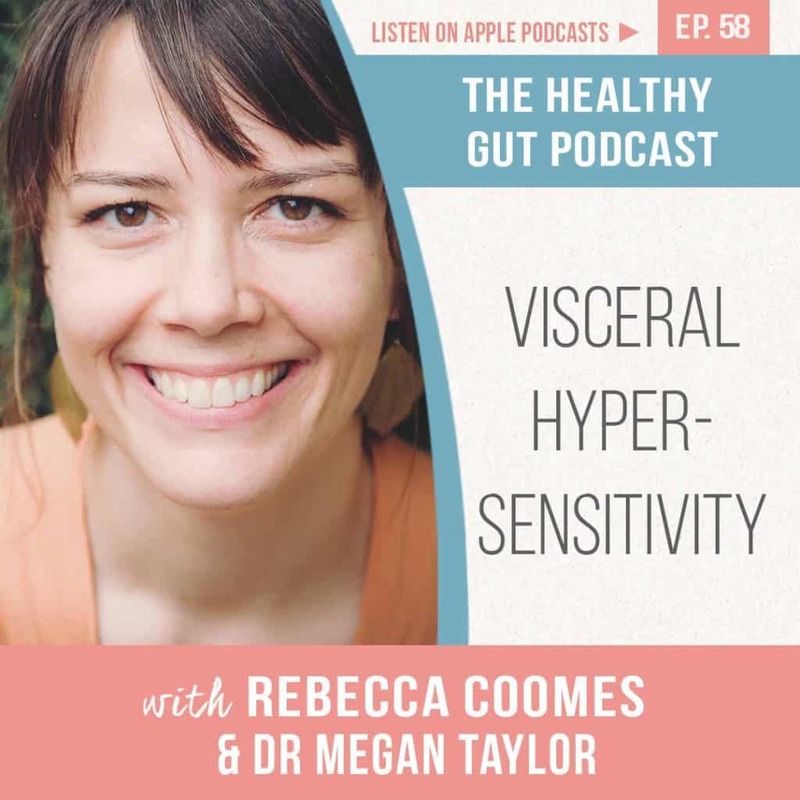 On today’s episode Dr Megan Taylor discusses why Visceral Hypersensitivity should be considered as part of your underlying conditions. People with IBS are up to 90% more likely to have Visceral Hypersensitivity than the ‘average’ person. Dr Taylor and Rebecca discuss what it is, how it works and what you can do about it if you have it. 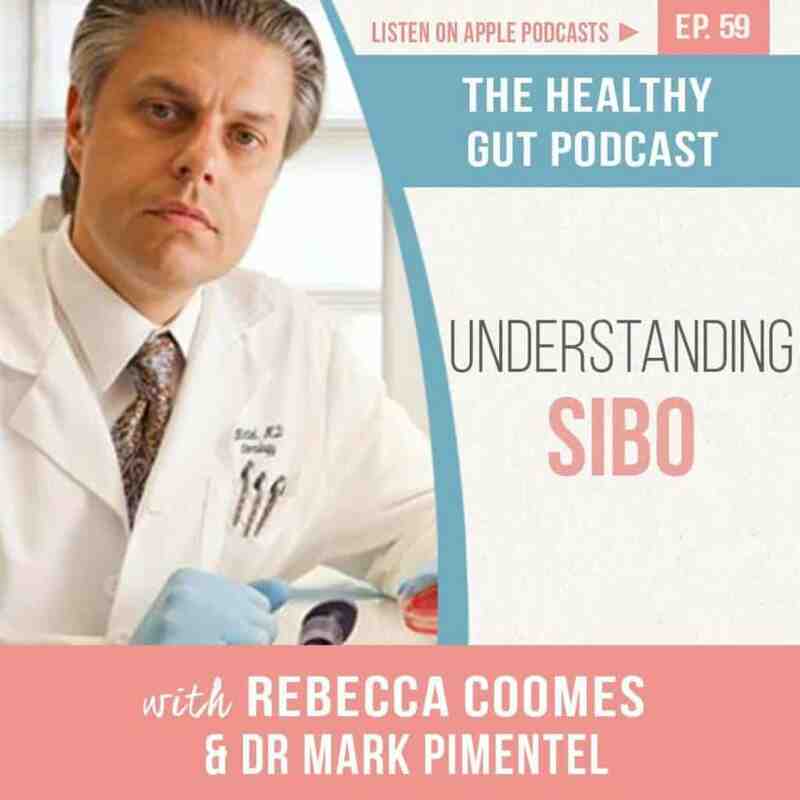 Dr Mark Pimentel is a leading pioneer in the world of SIBO research and has been the #1 most request guest to appear on The Healthy Gut Podcast. 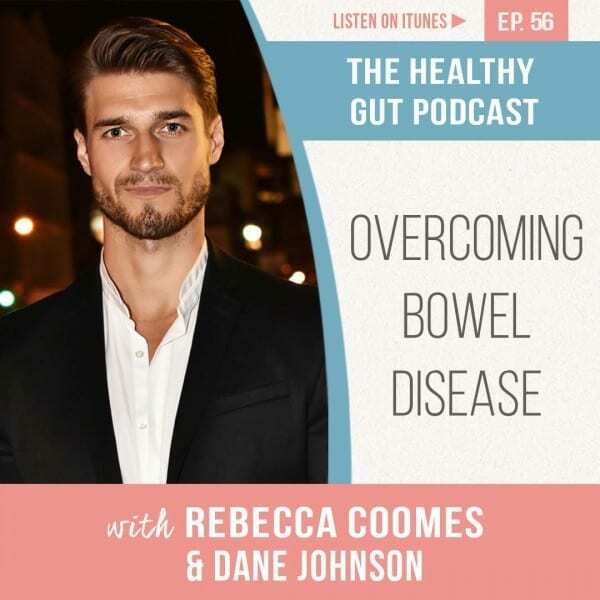 Listeners of The Healthy Gut Podcast submitted a wide range of questions they wanted answered by Dr Pimentel, and today Rebecca shares her interview with him. Dane Johnson was a successful model and actor, living a dream life on the outside, yet getting sicker on the inside. Ultimately, he ended up bedridden and hospitalised from inflammatory bowel disease, severely underweight and extremely unwell. On today’s episode, Dane shares with us what hitting rock bottom was like for him and how he clawed himself back to regain his health. Traumatic events can be life-changing and everlasting. For many people, the trauma can stay with them for life, yet they often don’t get the support they need. Today, Rebecca Coomes shares her own personal experience with highly traumatic events; sexual abuse by her uncle, extreme bullying at school and the workplace and how a near-death diving accident was the tipping point for change. 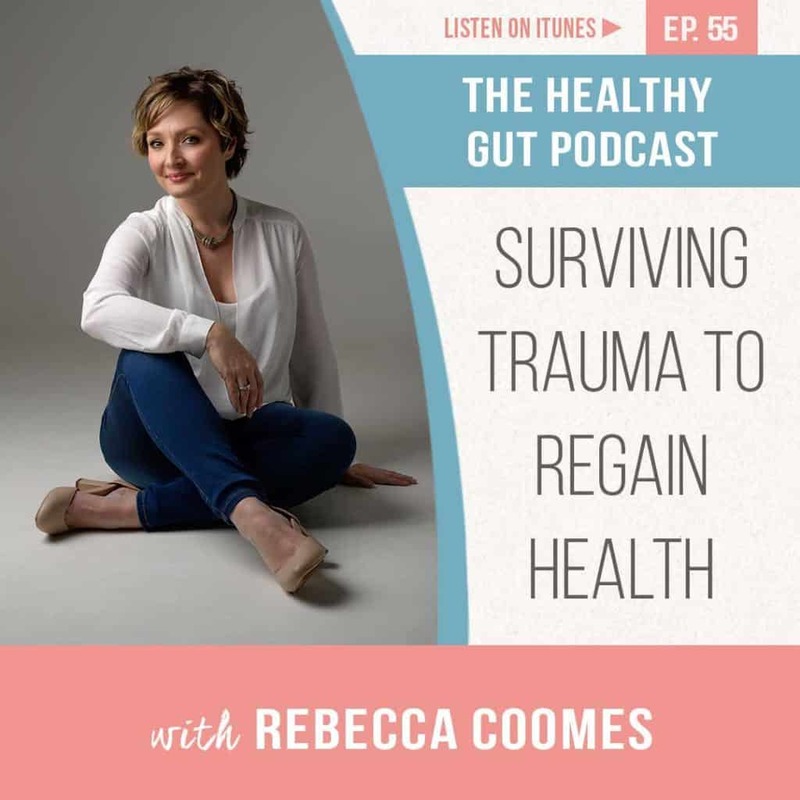 She shares how she lived in a constant state of fight or flight and the impact that had on her gut, plus how she manages her past traumas today. 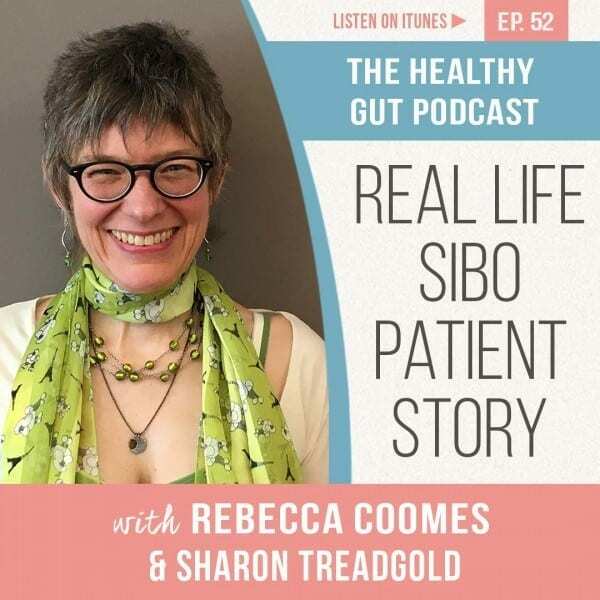 Sharon Treadgold shares her incredible real-life SIBO story on today’s podcast. Initially being diagnosed with IBS and told to change her diet, Sharon commenced a journey to discover the myriad of conditions at play as her health spiralled downwards. Realising she had to take control of her health, she sought out experienced practitioners and created a health care dream team who have been integral in significantly improving her health. In far too many cases, SIBO patients can end up with phobias surrounding the food they eat. For many people, eating leads to painful digestive symptoms, so it is understandable why so many people learn to fear food. 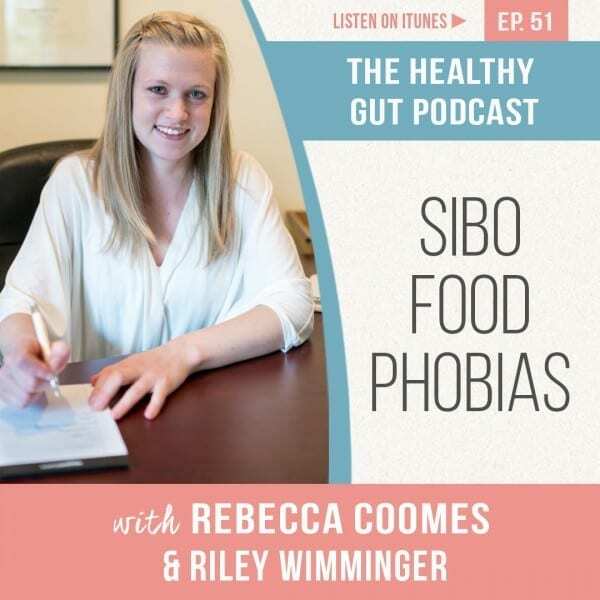 Nutritionist Riley Wimminger discusses this with Rebecca on this week’s podcast and provides some handy tips on what can be done to overcome food phobias. Riley also explores why it is important to understand what nutritional deficiencies you may be experiencing, particularly after prolonged dietary restrictions. Autoimmune conditions can leave you suffering everything from histamine flares to inflammation, so what is the link to SIBO? This week Rebecca is joined by Heidi Turner, a functional dietitian/nutritionist who specialises in SIBO and other digestive disorders. They discuss why it’s so important to calm our systems for recovery, how that can achieved through listening to our own bodies and why relying on our intuition is key. Are you aware of the affect that your gut health can have on your fertility? 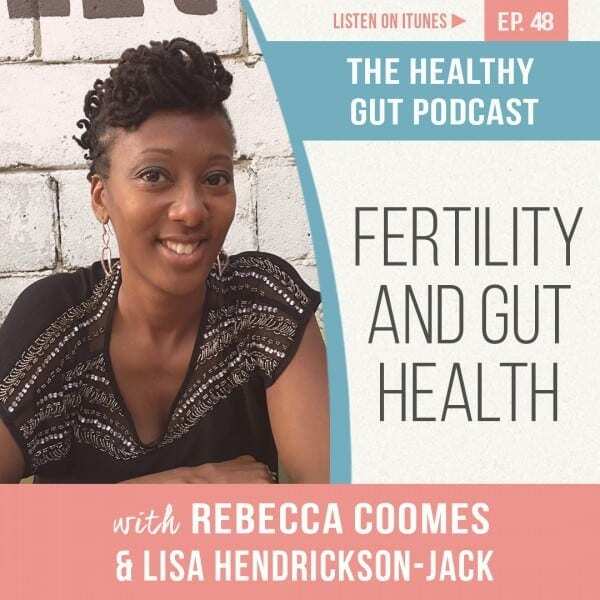 Lisa Hendrickson-Jack, a Fertility Awareness Educator, joins Rebecca this week to discuss the important connection between female menstrual cycles and your gut health. They talk about how to chart your cycle to check your fertility, diet and lifestyle changes that can help with fertility and what to do if you cycle is not ‘normal’. Lisa explains how taking control of your own cycle is not only empowering but also important in monitoring our overall wellbeing. What does ‘low tox’ living mean and how you can achieve it? The products you put on your body and use around your home are just as important as what you put into your body, and a few simple changes can help to limit your exposure to toxins that many products contain. Cara Little, a Pharmacist and founder of Pure Home Body, joins Rebecca to discuss how you can make those changes and what ingredients you should try to avoid and why. Have you been considering going organic? If you’re feeling confused about organic food then this week’s podcast is for you. Nicole Robins, Holistic Nutritionist and Organic market owner joins Rebecca for a live podcast recording in her store in Vancouver BC, to discuss how and why you might want to make the swap. They talk about the differences between organic, certified organic and biodynamic and how eating seasonally helps to ensure that your body is getting the right nutrients at the right time. For many men gut health is at the back of the queue when it comes to taking care of themselves. 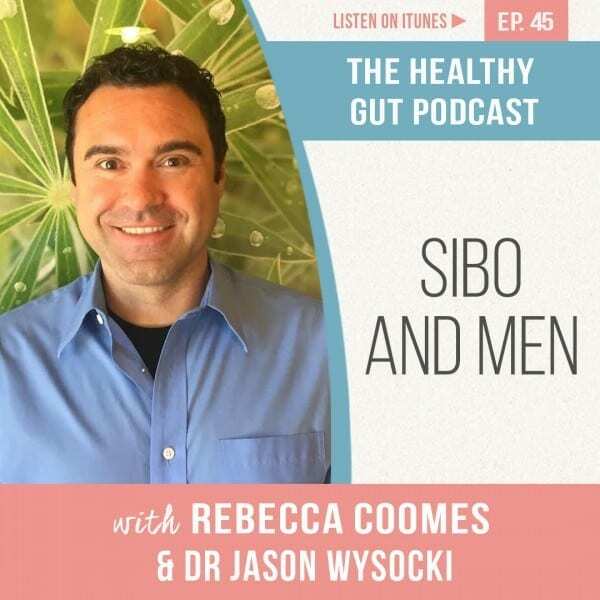 Dr Jason Wysocki joins Rebecca to discuss how important it is for men to address any gut health concerns and the far reaching effect that poor gut function can have on overall health. They look at the differences between male and female symptoms of SIBO, male hormone issues and the effects of adhesions from sport and surgeries. If you’ve been considering going low carb then this week’s podcast is essential listening. 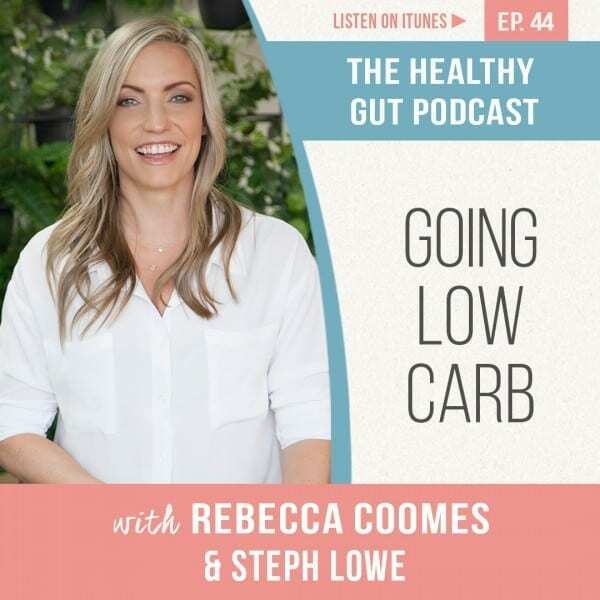 Steph Lowe, The Natural Nutritionist, joins Rebecca to talk all about the features and benefits of a low carb diet. They discuss how the diet works and why we should be eating real, unprocessed foods. Steph also tells us more about the how introducing more natural fats into your diet can help you achieve satiety to discourage unnecessary snacking. Food can become an emotional subject when you have SIBO. 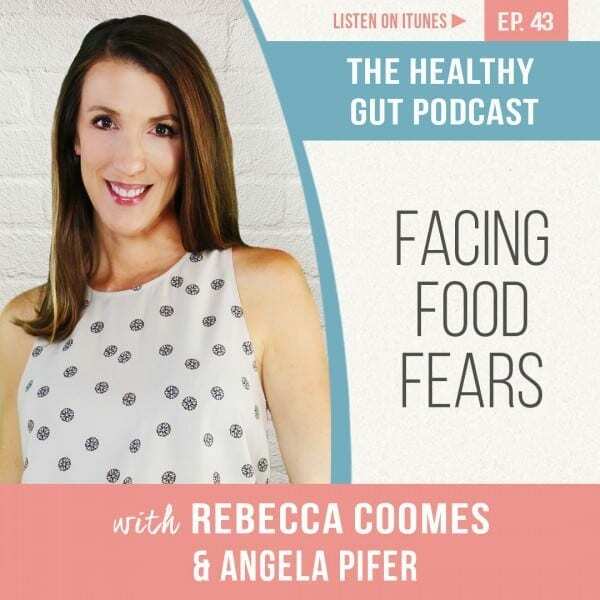 This week functional medical nutritionist, aka the SIBO Guru Angela Pifer, returns to talk about facing food fears. Angela discusses the different SIBO diet choices, managing flairs and why it’s so important to remember that cheating will not make SIBO return. She also looks at the impact that being more relaxed about food can have on recovery. When your gut is working hard to heal having a healthy, diverse microbiome is key to success. 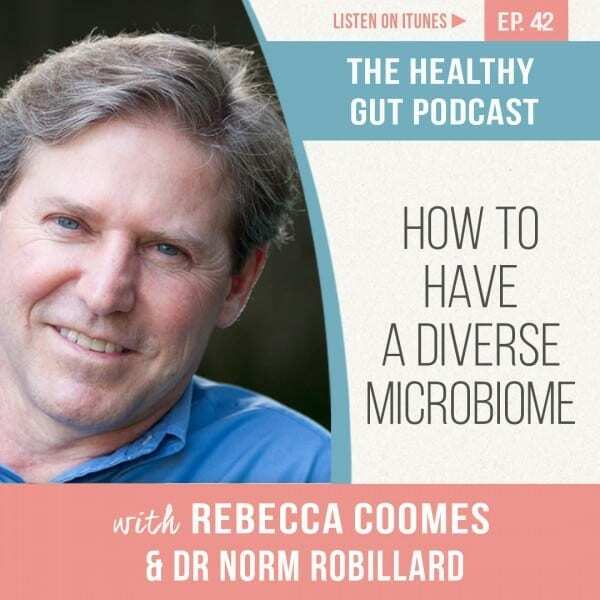 Dr Norm Robillard, of the Digestive Health Institute and creator of the Fast Tract Diet, joins Rebecca in a live podcast recorded in his garden in Boston to talk about all the elements that need to be in place in our diet and lifestyle to create a diverse microbiome. Dr Robillard also answers questions from the live audience. Sharing our SIBO stories can be a positive way of supporting our own SIBO journey. 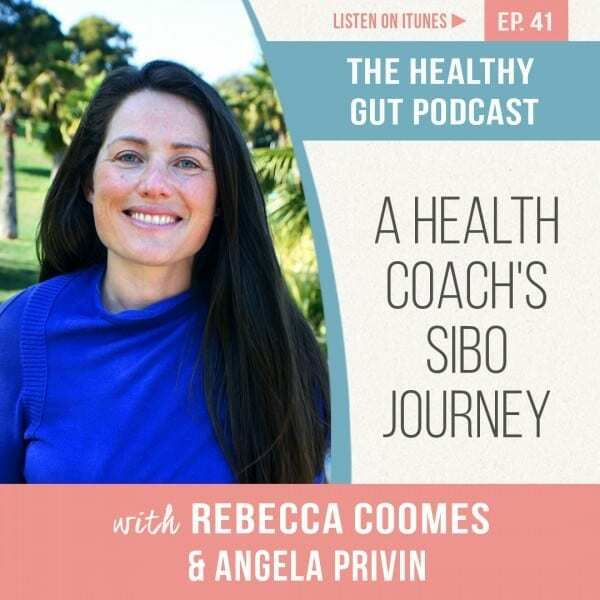 Digestive Health Coach Angela Privin joins Rebecca this week sharing her own experience of treating and recovering from SIBO. They talk about the key tools for a successful, positive SIBO journey and the gateway to transformation. When we consider mind, body and spirit together we can create a uniting force that will empower us on our journey to recovery. This week Dr Jason Wysocki joins Rebecca for a live podcast recording at 8 Hearts in Portland, Oregon. He talks about how the connection of mind, body and spirit working together can help with dealing with a chronic illness. They also discuss finding your own ‘normal’, acceptance, creating your community and the importance of self care. Having a positive mindset is a valuable tool for life, even more so when you are dealing with a chronic illness. 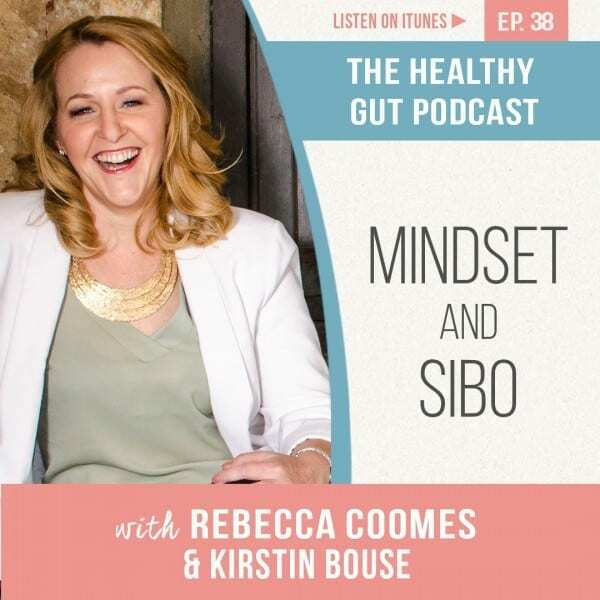 Psychologist Kirstin Bouse talks about how, and why, mindset is a big part of a successful SIBO journey. She talks about how to create positivity in your day to day life by identifying the good things and focusing on them. Kirstin tells us more about why creating small pockets of time for yourself, when you have a busy life, is so valuable and how activities you fill your spare time with can add joy or value to your life. Have you considered the importance of oral health on your digestion and gut health? Dr Melanie Keller returns to explain the crucial role your mouth plays in the digestive process. Dr Keller discusses with Rebecca the risk factors associated with poor dental health, from smoking to regular snacking. They look at how we can achieve good dental hygiene and the impact that this can have on our overall health. Dr Keller also explains more about the relationship between bacteria in the gut and the mouth. If you’re considering whether your thyroid is part of your health puzzle then this week’s podcast is essential listening. 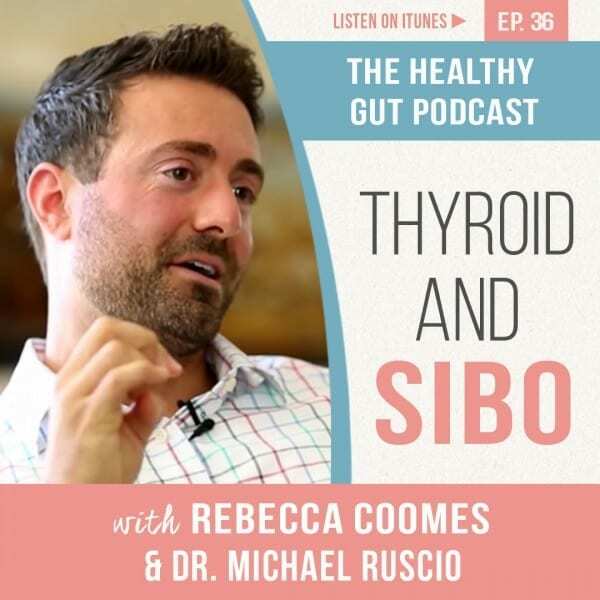 Dr Michael Ruscio returns to The Healthy Gut podcast to talk about the gut/thyroid connection and SIBO. Dr Ruscio discusses how to know if you have thyroid issues, what symptoms to look out for and what tests are worth doing. They also look at how problems with your thyroid can interact with other conditions and which you should treat first, SIBO or your thyroid. Do you have a Dream Team supporting your SIBO journey? 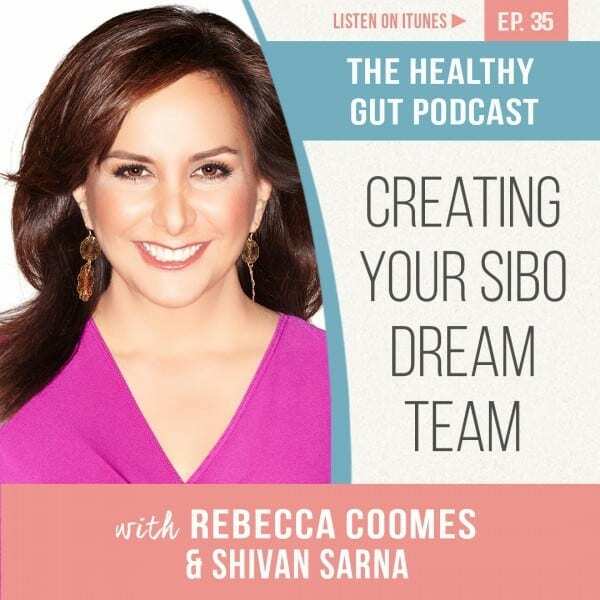 This week Rebecca is joined by TV personality Shivan Sarna to talk all about how creating a Dream Team has helped to empower her on her own SIBO journey. 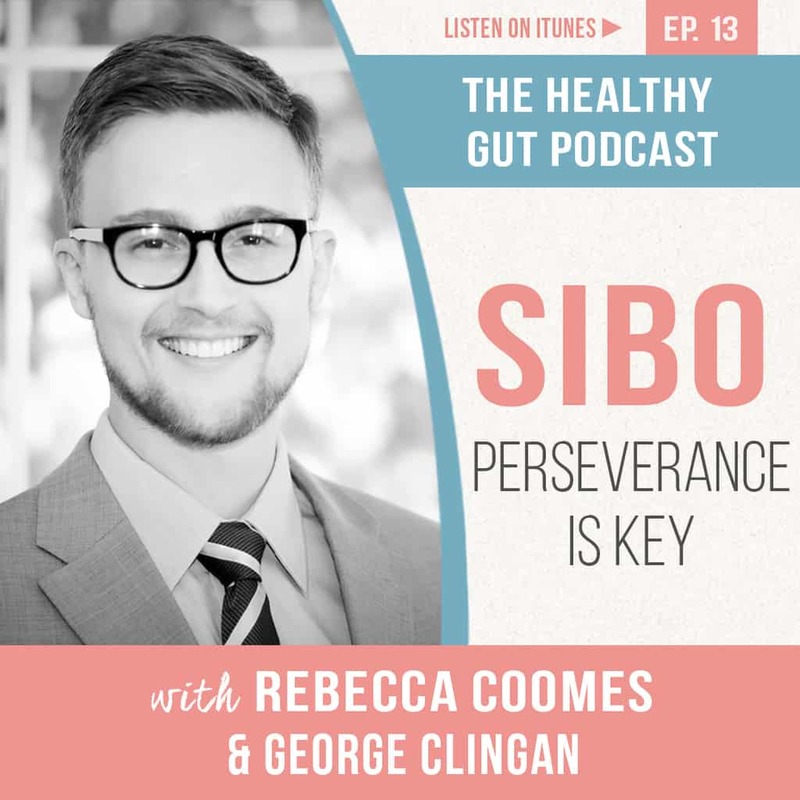 They chat about why perseverance and persistence are so important when investigating your gut health and seeking a diagnosis. Shivan and Rebecca also explore how you can manage the financial element of testing and treating SIBO and look at which tests are important and which ones can wait. Rebecca also finds out more of Shivan’s passion for helping others with SIBO find their Dream Team and why she has created the SIBO SOS Summit to help people find their way back to health. If you’ve considered going gluten free then this week’s podcast is a must. Rebecca is joined by Heather Jacobsen from Stuffed Pepper to talk all about how, and why, you might decide to go gluten free. 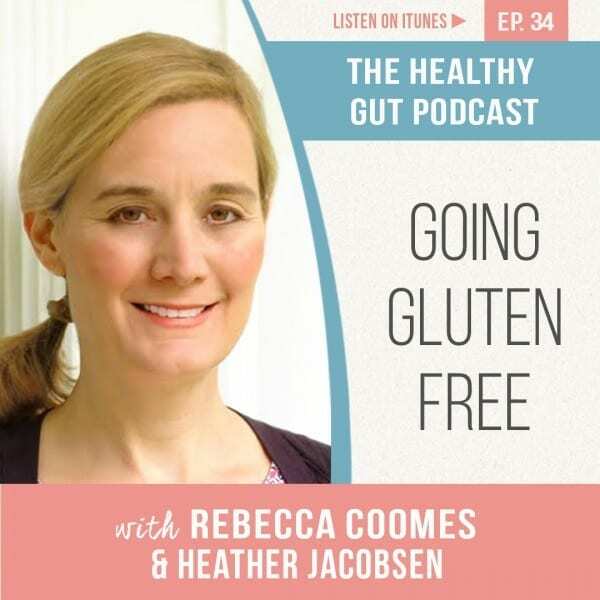 They chat about how Heather’s own journey through various childhood conditions, abdominal surgery and an autoimmune condition has led her to a gluten free life. Heather talks about how gluten sensitivity manifests itself, the symptoms and how to manage changing your diet for optimum gut healing. Rebecca and Heather also look at how stress can be a huge part of the puzzle when unravelling your own health issues and how to begin tackling this. If you are experiencing pelvic pain alongside your gut issues, did you know that the two can be linked? 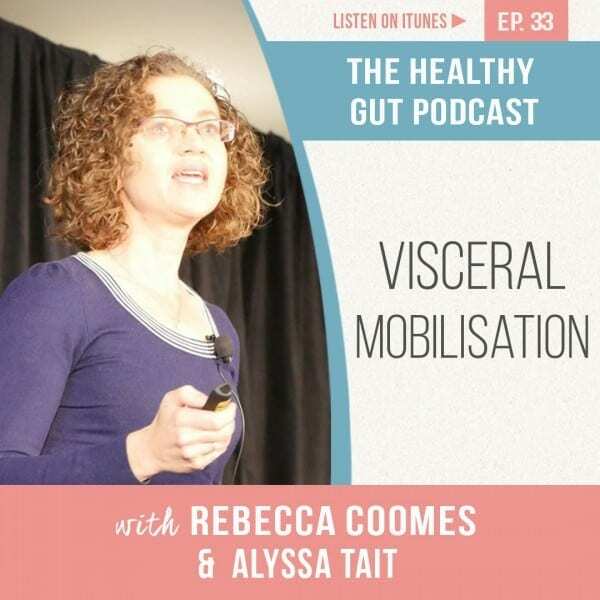 This week Alyssa Tait joins Rebecca to talk all about visceral mobilisation. Alyssa Tait is a physiotherapist and naturopath with a special interest in abdominal and pelvic pain disorders, the gut and urogenital issues. Alyssa and Rebecca talk about the reasons why chronic pelvic pain can have an effect on your gut’s effectiveness. They also look at what the risk factors are for adhesions and how visceral mobilisation can help to relieve the pelvic pain that these cause. 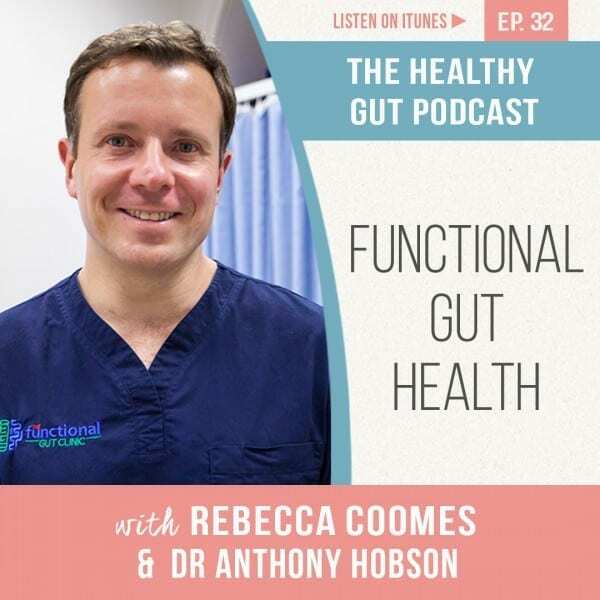 This week Rebecca is joined by Dr Anthony Hobson to talk all about functional gut health. Dr Hobson is from the UK and is an internationally renowned gastro physiologist. 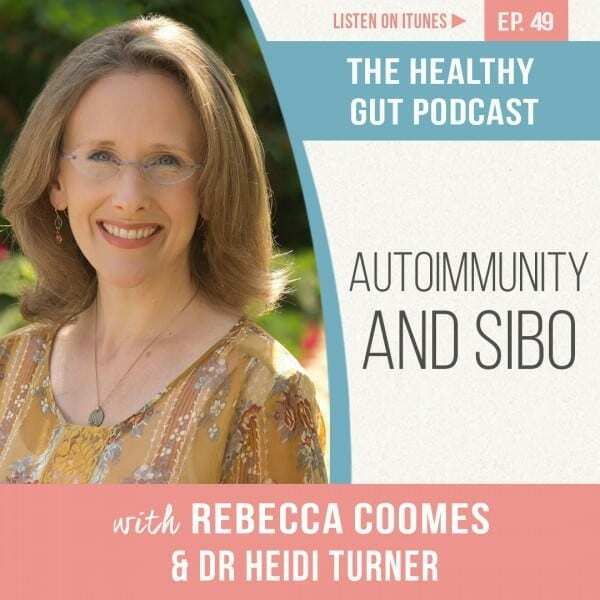 Rebecca and Dr Hobson talk about why it’s important to adopt a holistic approach in diagnosis and assessing gut function from ‘top to bottom’. They also look at the variety of GI function tests available and which are most valuable when looking for a diagnosis of gut health issues. Dr Hobson also explains more about how and why the UK is behind in its awareness of SIBO and other GI issues and how to find more help if you are UK based. This week Rebecca is joined by Dr Farshid Sam Rahbar to talk about Lyme Disease and SIBO. Dr Rahbar is an acclaimed gastroenterologist with a passion for using the ‘whole-person’ approach in treatment. 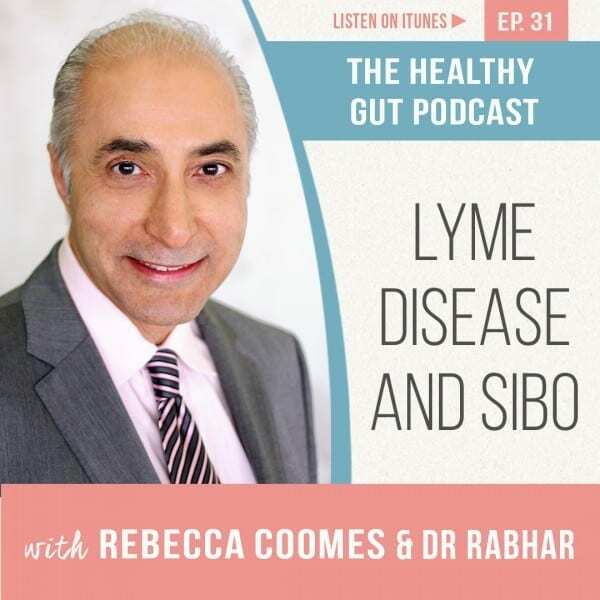 Rebecca and Dr Rahbar talk about the link between Lyme Disease and SIBO, how it’s caused, its symptoms, risk factors and the treatments available. They also chat about how important it is to map out your own medical history, to determine which symptoms are digestive or non-digestive and how this may help if you are not responding to your SIBO treatment. 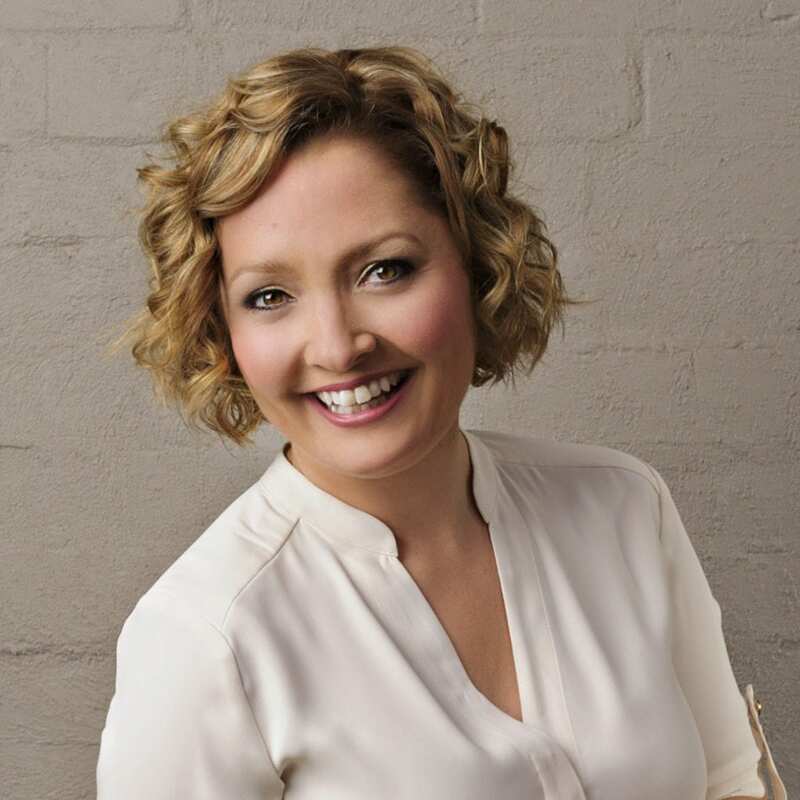 Dr Lisa Shaver is a naturopathic doctor who specialises in digestive disorders, hormonal imbalances, neurotransmitter balancing and autoimmune conditions. 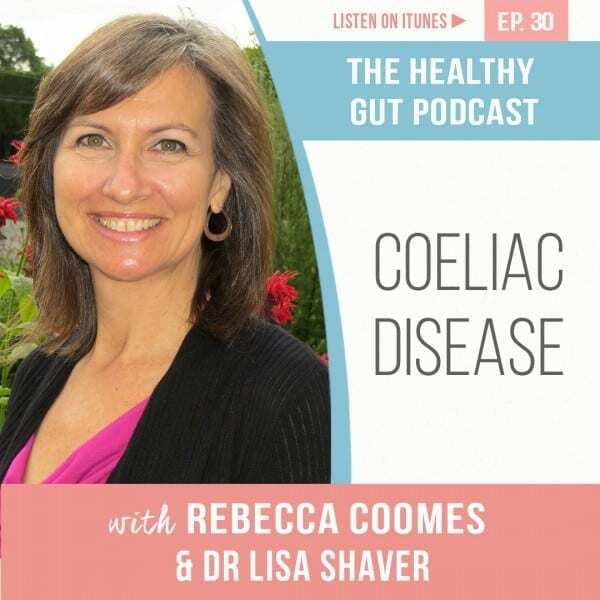 Dr Shaver joins Rebecca to talk about about Coeliac Disease and gluten free diets. They chat about the differences between Coeliac Disease, non-Coeliac gluten sensitivity and wheat allergies. Dr Shaver discusses how these different conditions manifest themselves and talks through the various symptoms that can be experienced. She and Rebecca look at the treatments that are available and why testing is so important. 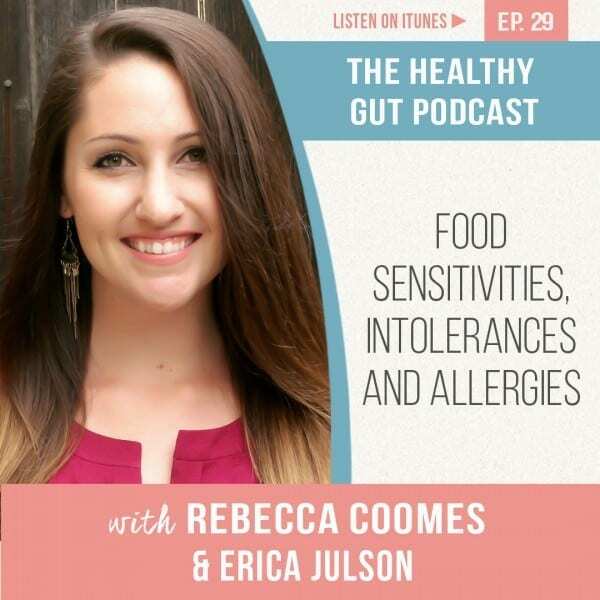 Erica Julson joins Rebecca to talk all about food sensitivities, allergies and intolerances. Erica has a background in health psychology and retrained as a registered dietitian nutritionist to follow her passion for helping people to eat well for health. 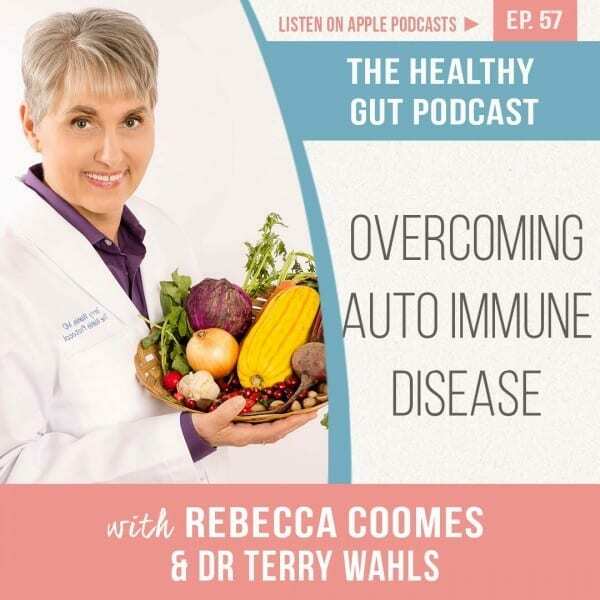 She and Rebecca get into the differences between immune and digestive responses to food, and how to know which you have. They also talk about how reducing inflammatory response is key when treating SIBO, and how vitamin deficiencies can lead to autoimmunity issues. Erica also explains why eating as broad a diet as possible is key to our overall health and wellbeing. 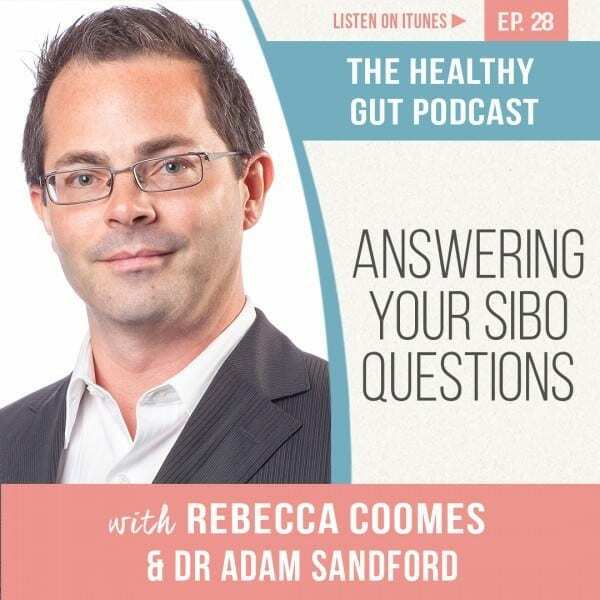 This week Dr Adam Sandford joins Rebecca to answer questions from The Healthy Gut community about SIBO. Dr Sandford is a Naturopathic Doctor and focuses on blending conventional and alternative medicines, with a special focus on gut and hormone disorders. He and Rebecca get into treatment options, diet, recurrence of SIBO, methylation pathways, thyroid, hormones and much, much more. They also chat about how important the 5 Key Pillars to Health are when treating SIBO, and why you need to look further than just your medical treatment for successful recovery. Dr Melanie Keller joins Rebecca this week to talk all about her 4-Step program to treat SIBO: rebalance, reinforce, remedy and renew. Dr Keller is passionate about treating SIBO and believes that an individualised approach to treatment is imperative to success. She and Rebecca get into why sharing your complete history with your practitioner is so important to truly develop a unique treatment program. They also chat about why sometimes, even after multiple treatments, SIBO can stay with us and what next steps can be taken to recover if this is the case. 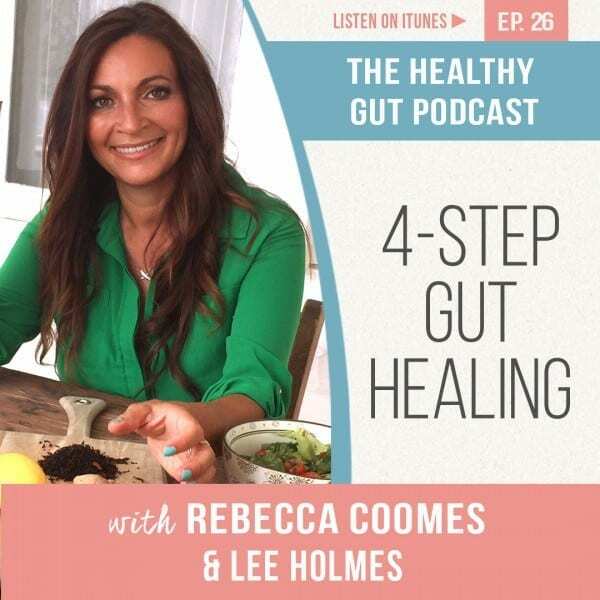 Rebecca is joined by Lee Holmes from Supercharged Food and author of Heal Your Gut. 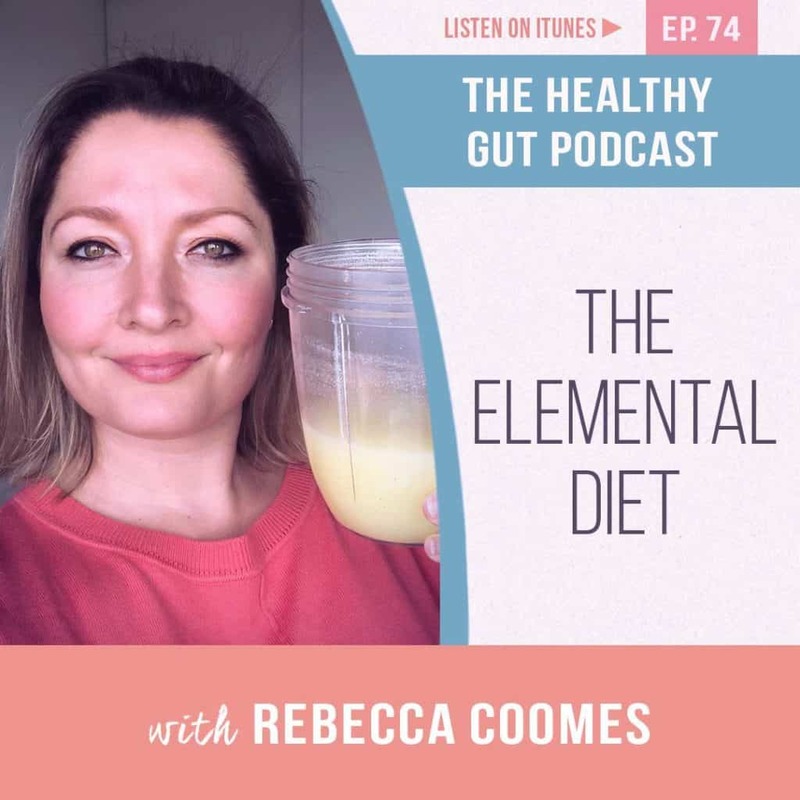 Lee talks with Rebecca about how through her own illness she realised that healing her gut was key to her overall health. 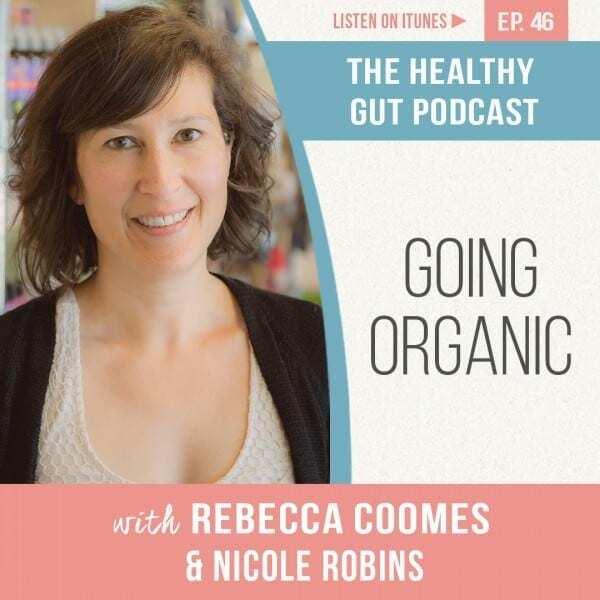 She and Rebecca chat about her 4 phases of gut healing, and how moving towards whole foods is key to gut health. They look at how a change in lifestyle can also help to change our health overall. Lee shares with Rebecca some handy hints and tips on how to incorporate good foods into your diet. Adhesions are a particular risk for people with SIBO, and can often be an underlying cause of SIBO developing. In this episode Rebecca is joined by Larry Wurn LMT and Belinda Wurn, from Clear Passage Physical Therapy to talk all about their important work on adhesions. Belinda co-developed the ‘Wurn technique’ to address adhesions non-surgically after experiencing debilitating chronic pelvic pain. They talk with Rebecca about how adhesions develop and what the risk factors are, such as endometriosis or surgery. 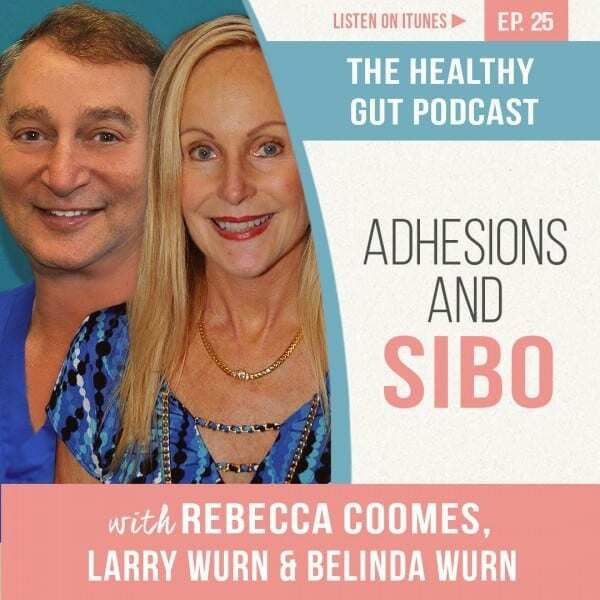 Belinda and Larry tell Rebecca more about how solving the problem of adhesions can aid recovery from SIBO. A healthy, balanced microbiota is an invaluable piece of our health puzzle when we are treating SIBO. 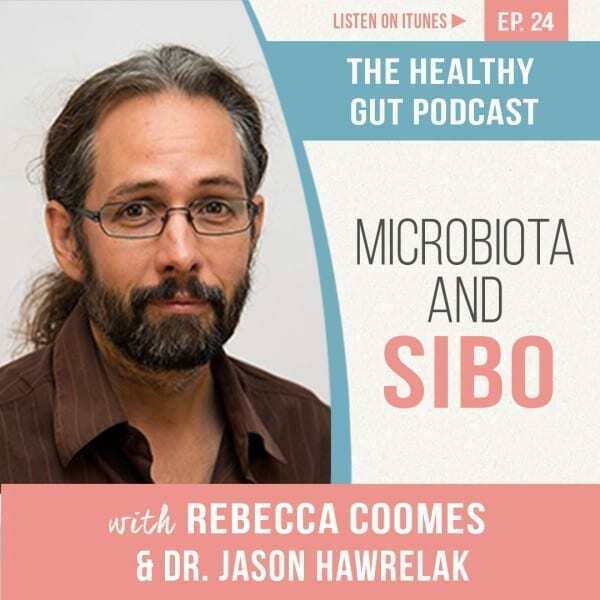 This week Rebecca is joined by Dr. Jason Hawrelak, a naturopath and herbalist, who is an expert on the microbiota. He and Rebecca talk about the part that our gut bacteria plays in our overall health. They talk about the role that pre and probiotics play in the treatment of, and recovery from, SIBO. Dr. Hawrelak tells Rebecca more about about why and when we should use them during SIBO treatment, and why sometimes they should not be taken. Our hormones are vital to good mental and physical health, and keeping them balanced can be challenging, especially for people with SIBO. 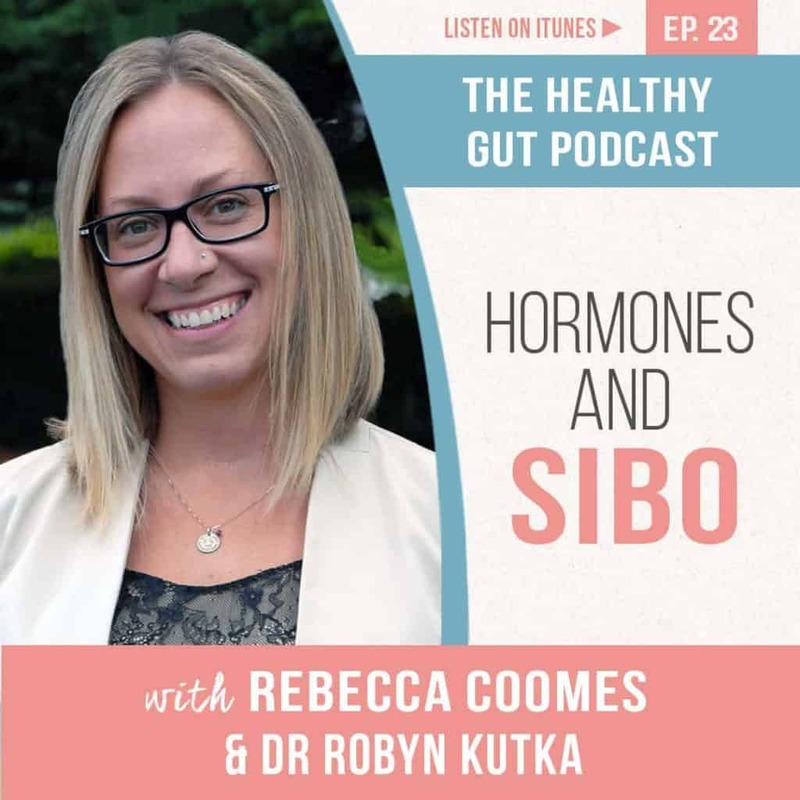 In this episode Rebecca talks to Dr. Robyn Kutka, who is a naturopathic physician specialising in hormone imbalances, about the various ways that a hormone imbalance can affect patients, from fatigue to thyroid disfunction. She is a leading light in the field of hormone balancing and bioidentical hormone therapy. Dr Kutka believes that patients require an individualised approach to treatment, she chats with Rebecca about the various treatment options available for hormonal imbalances. 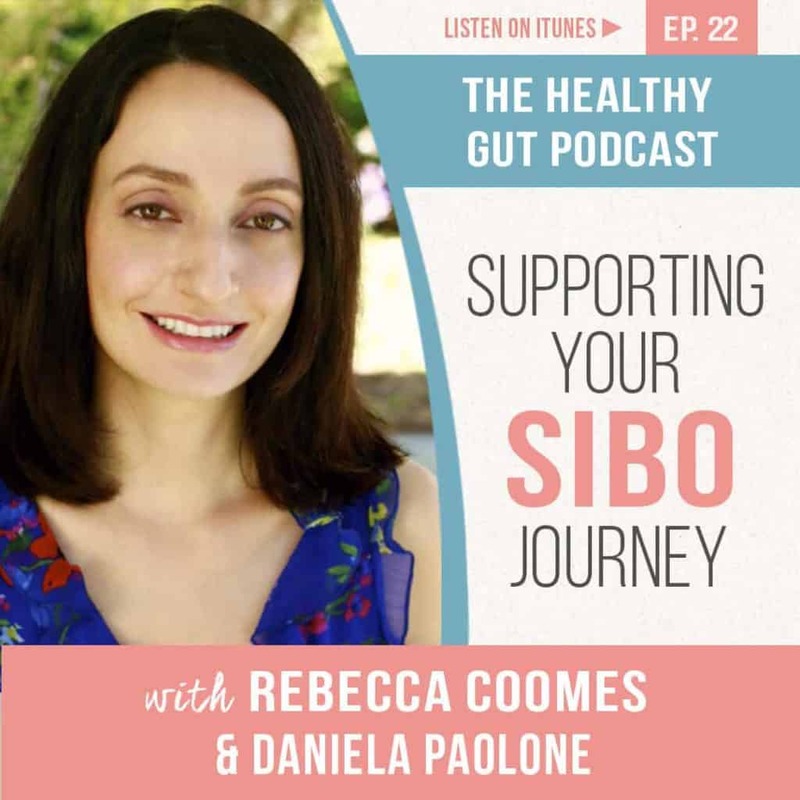 Daniela Paolone is a passionate advocate for people with SIBO and shares with Rebecca her own SIBO journey. Daniela and Rebecca chat about what support you need to be successful on your SIBO journey, and why keeping positive is key. They talk about why being your own Private Investigator when seeking a diagnosis, and then going through the treatment, is so important. She shares why she has been involved with the SIBO Discussion/Support Group on Facebook as an admin for the past 3 years, and why it can be such a useful online community. Jessica Cox is an accredited nutritional practitioner with a Bachelor of Health Science (Nutrition) and over ten years of clinical experience. She has an immense passion for food therapy and therapeutic nutrition with a specific interest in IBS and SIBO. 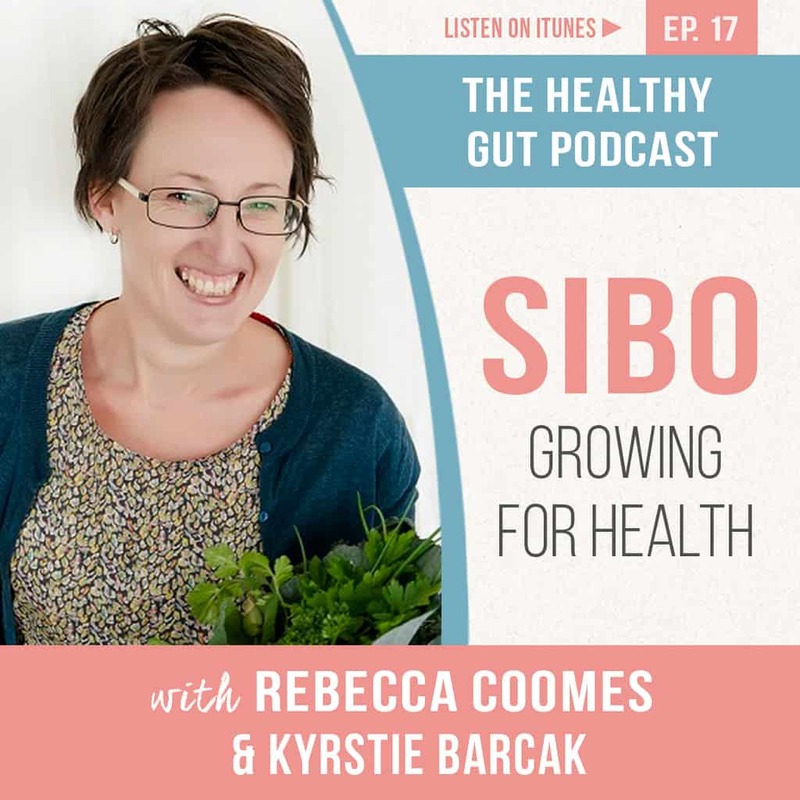 Rebecca and Jessica talk about how important it is to treat your SIBO with the support of a qualified practitioner, to ensure that you are getting the right treatment at each stage of your SIBO journey to recovery. 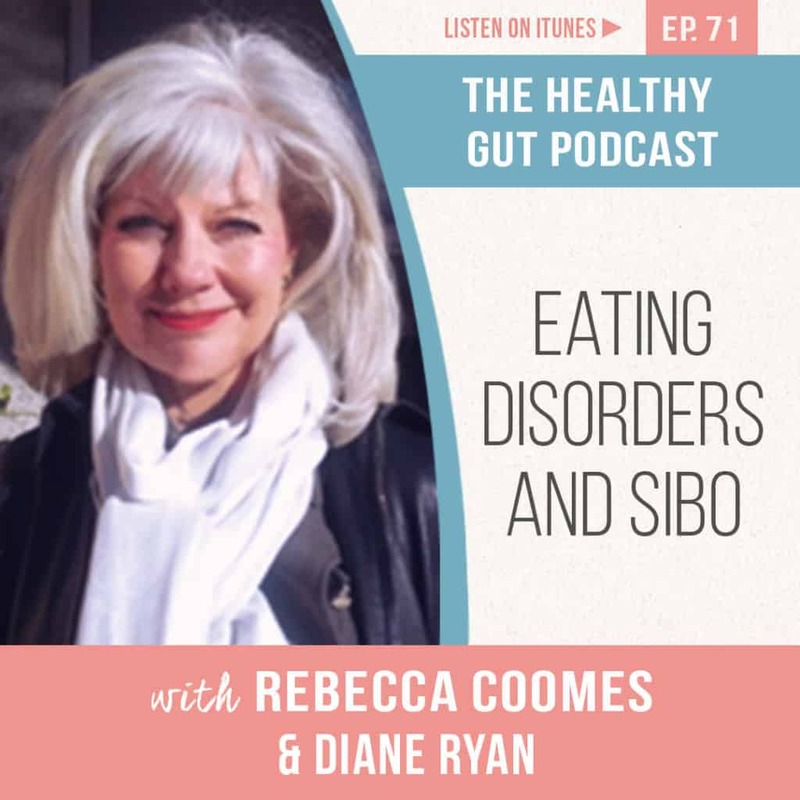 They chat about how to eat for SIBO, how foods might be re-introduced and why it’s important to get help before your diet becomes too limited. Dr. Jason Klop is a naturopathic doctor on a journey to educate, empower and treat those on their journey with digestive challenges. With a childhood diagnosis of mono he turned to naturopathic medicine to help him heal and never looked back, and then went on to become a naturopath himself. 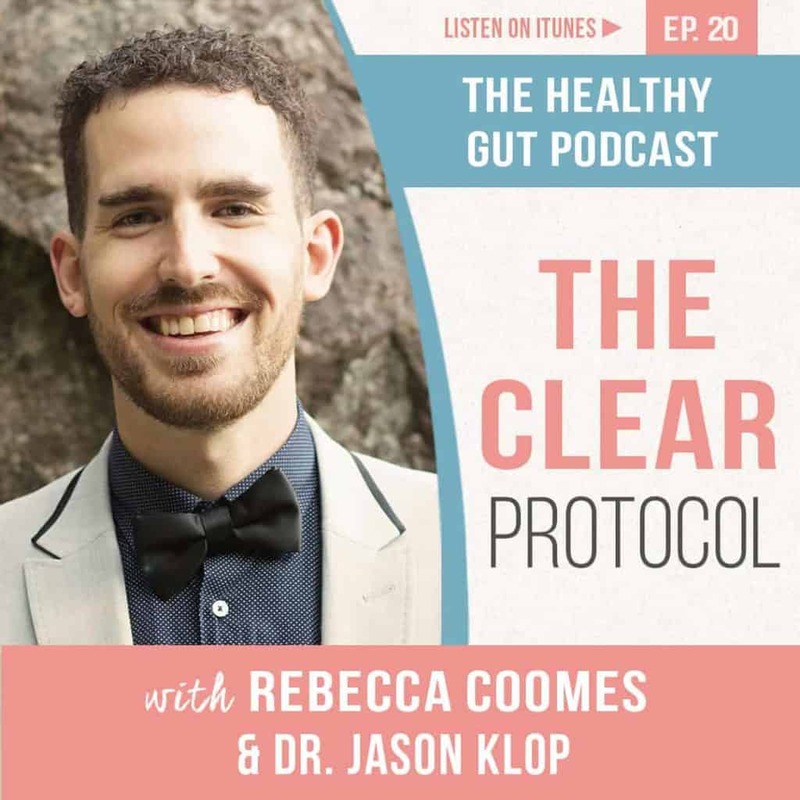 Rebecca and Dr Klop chat about how he created the CLEAR Protocol to help people with SIBO address their symptoms through diet and lifestyle modifications. The protocol has 5 key steps: Consciously eating, Legal foods, Earn, Alert and Restore. 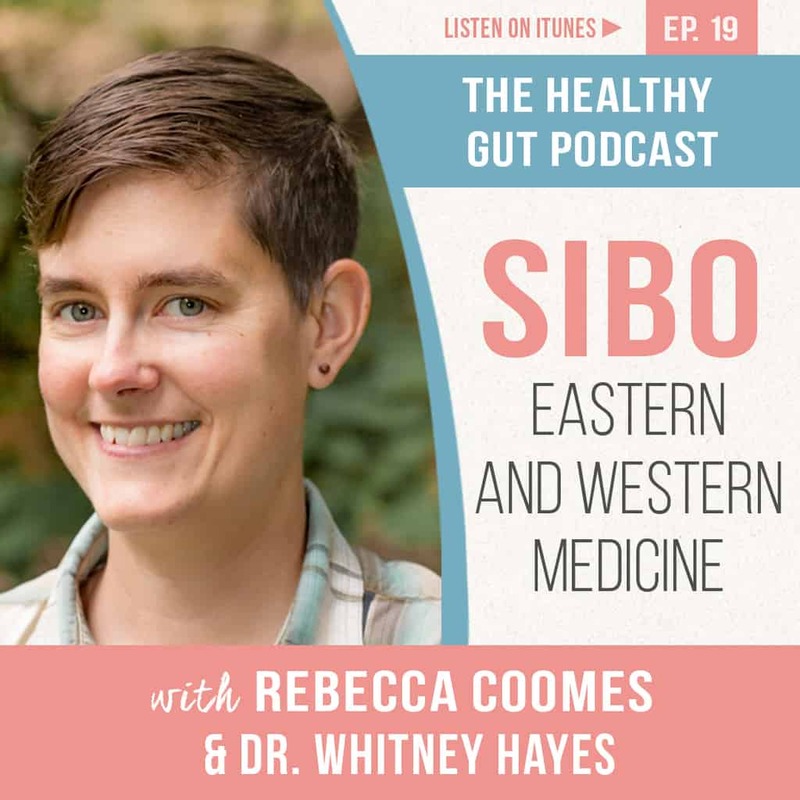 Dr Whitney Hayes is passionate about using the tools of both Eastern and Western medicine in her treatment of patients with IBS and SIBO. Initially uninterested in becoming a doctor, Dr Hayes had an interesting personal journey before ultimately qualifying as a naturopathic doctor and Chinese medicine practitioner. Her journey has led her to believe that combining ancient technologies with modern research is key in SIBO treatment. 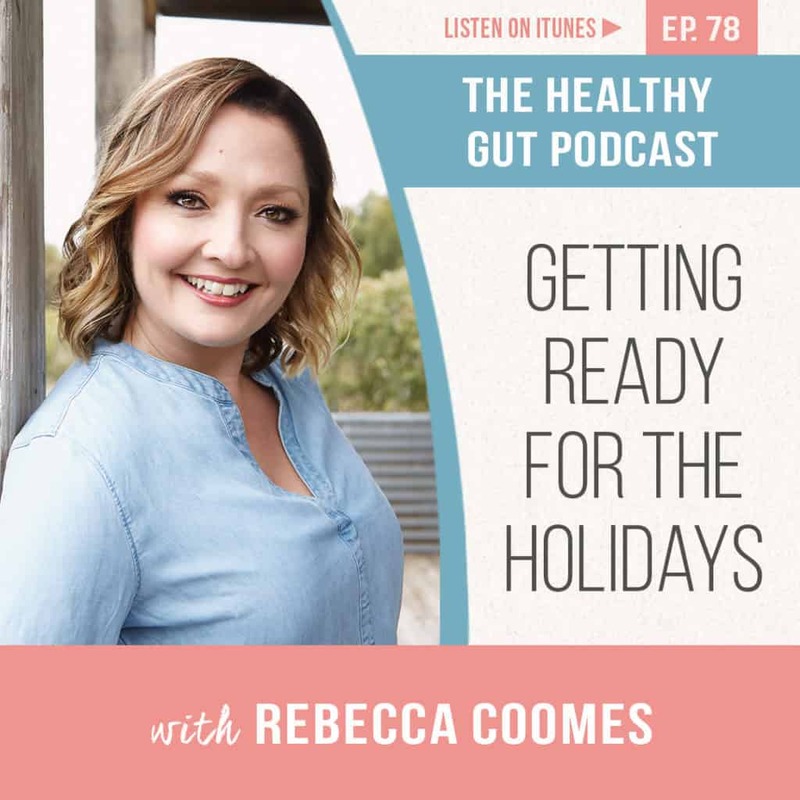 She and Rebecca get into the different ways that she helps patients back to good gut health, using a combination of acupuncture, naturopathic supplements and lifestyle suggestions. Knowing why your body is reacting to certain foods, with symptoms such as acid reflux and bloating, is key to your journey to digestive health. 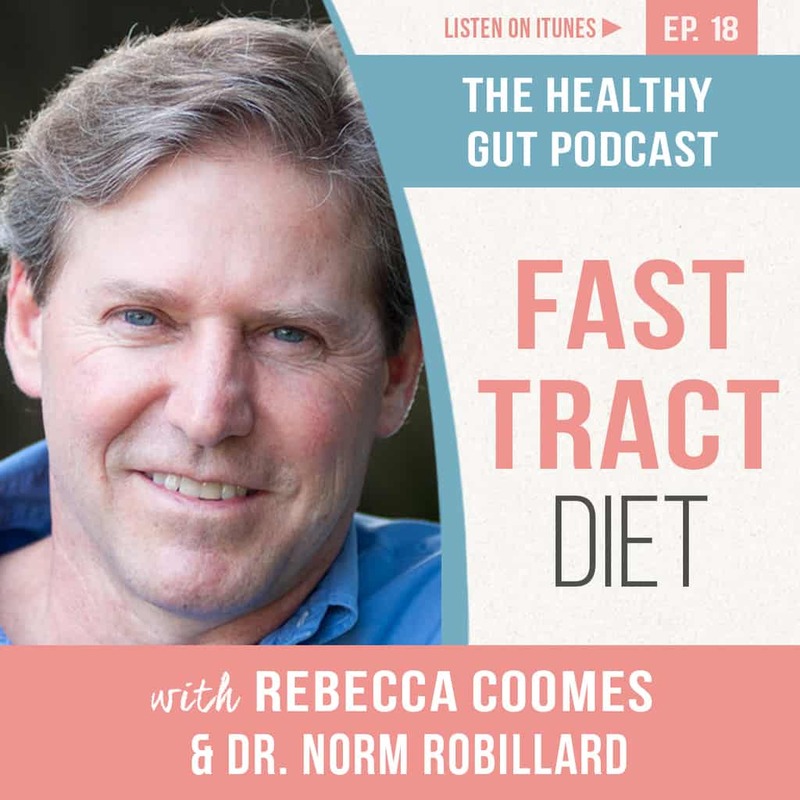 This week Rebecca speaks to Dr Norm Robillard Ph.D. Dr Robillard is the founder of The Digestive Health Institute, a gut expert, microbiologist, author of the Fast Tract Diet book series and the Fast Tract Diet app. The Fast Tract Diet, which has been used successfully by many people with SIBO to calm their digestive symptoms. Dr Robillard had his own gastric issues with acid reflux and this is what led him to start to explore the issues with carbohydrates and fermentation. Rebecca and Dr Robillard delve into the Fast Tract Diet, and talk at what gut health benefits can be achieved by lowering the fermentation of the foods that you are consuming. In this week’s Healthy Gut Podcast Rebecca talks to Kyrstie Barcak, founder of A Fresh Legacy, creator of The Kitchen Garden Box and a passionate recipe developer. A Fresh Legacy seeks to help and inspire adults and kids alike to create their own kitchen garden, teaching them to plant and grow food for the whole family to enjoy. Rebecca and Kyrstie chat about the joy of growing our own food, and why it is better for us. Kyrstie has experienced her own digestive issues from an early age that have continued throughout her life. 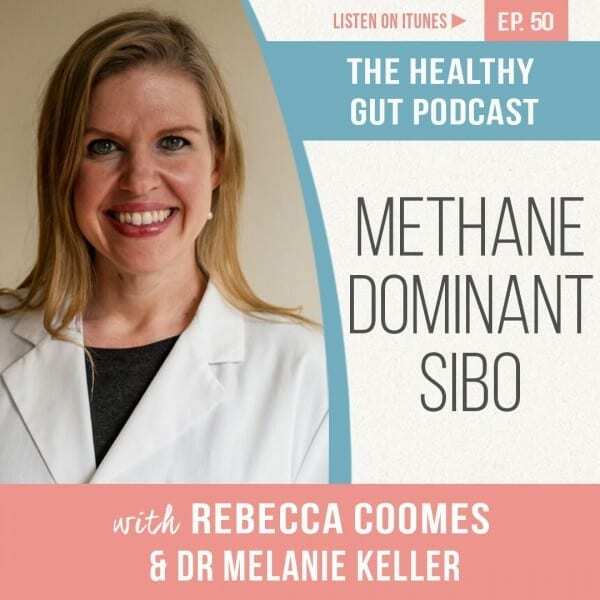 She was diagnosed with Methane dominant SIBO last year, so we dig into her journey with this condition, how she managed a busy business and family along with the emotional aspects that come with chronic illness. She has also experimented with two different diet protocols and shares her experience with them. Food glorious food, it’s something we all think about at least three times a day, and the effects of how and what we eat can be far reaching. 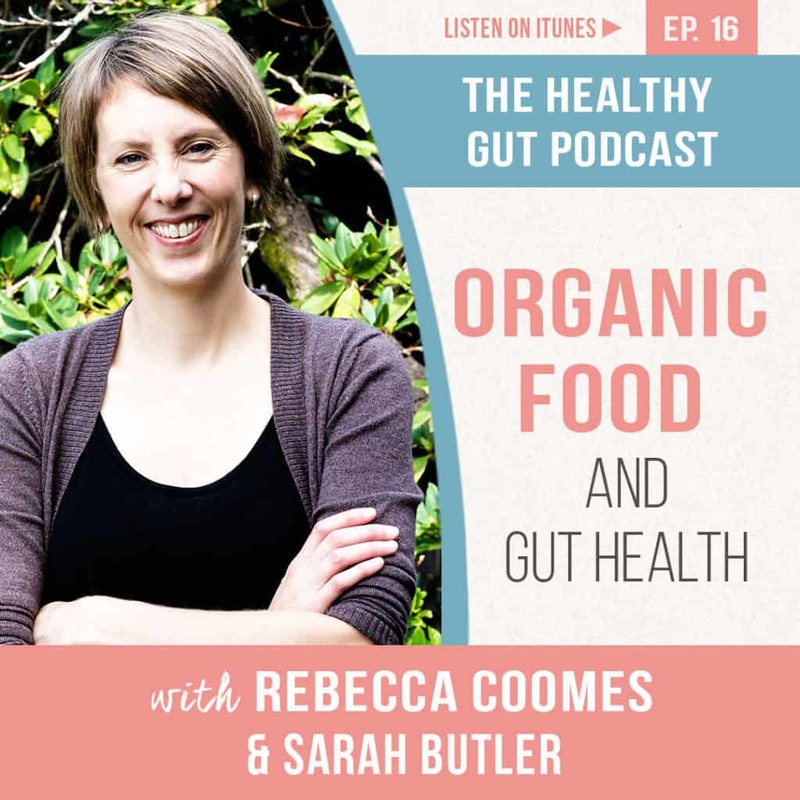 In this week’s episode of The Healthy Gut Podcast Rebecca chats to Sarah Butler from Organic Angels about all things organic. Not only does she run an organic delivery business, but she has three kids so is well versed in how to get kids excited about food. Sarah also shares her own personal journey with an autoimmune disease and how she has taken herself and her family on a journey to improve the health of their digestive systems. 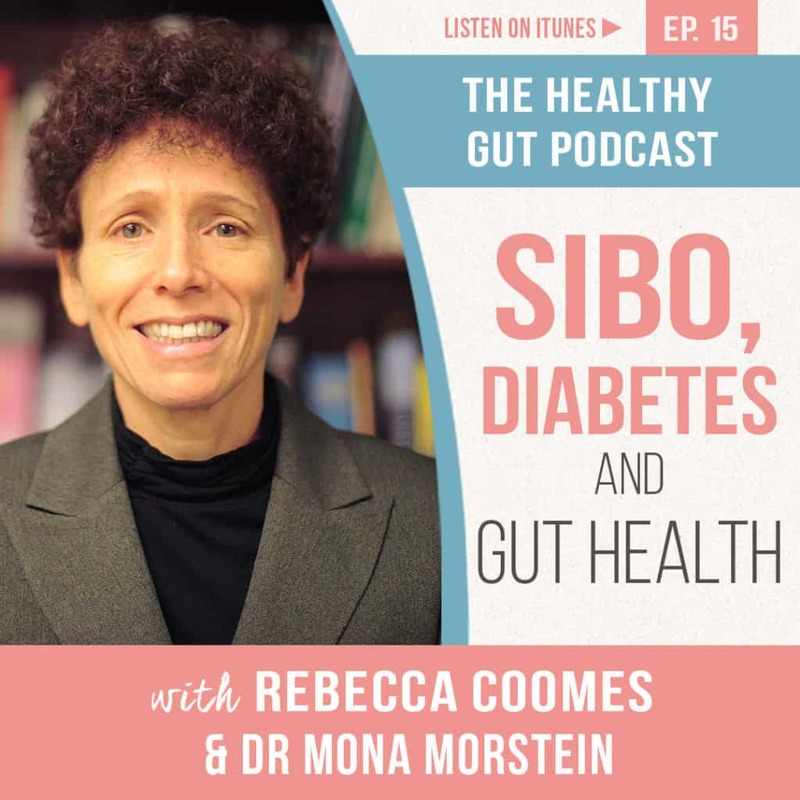 In this week’s episode of The Healthy Gut Podcast, Rebecca speaks with Dr Mona Morstein about diabetes, insulin resistance and the role gut health plays on these conditions. Dr Morstein is recognised as an expert on pre-diabetes and diabetes, and also specialises in gastroenterology and hormonal disorders. 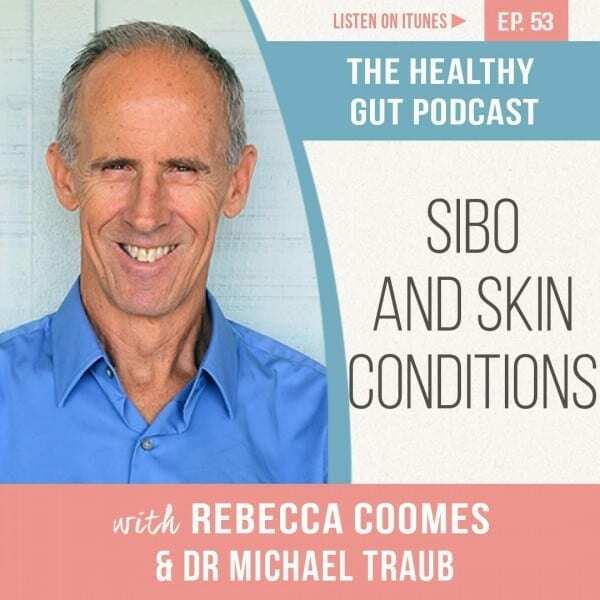 Rebecca and Dr Morstein get into the detail about the importance of insulin and how our bodies use it, and why we can be predisposed to diabetes when we have SIBO. They also chat about the impact that the microbiome has on our gut health and how to protect it. When we are chronically ill, exercise and movement can be one of the first things to disappear from our regular schedule. 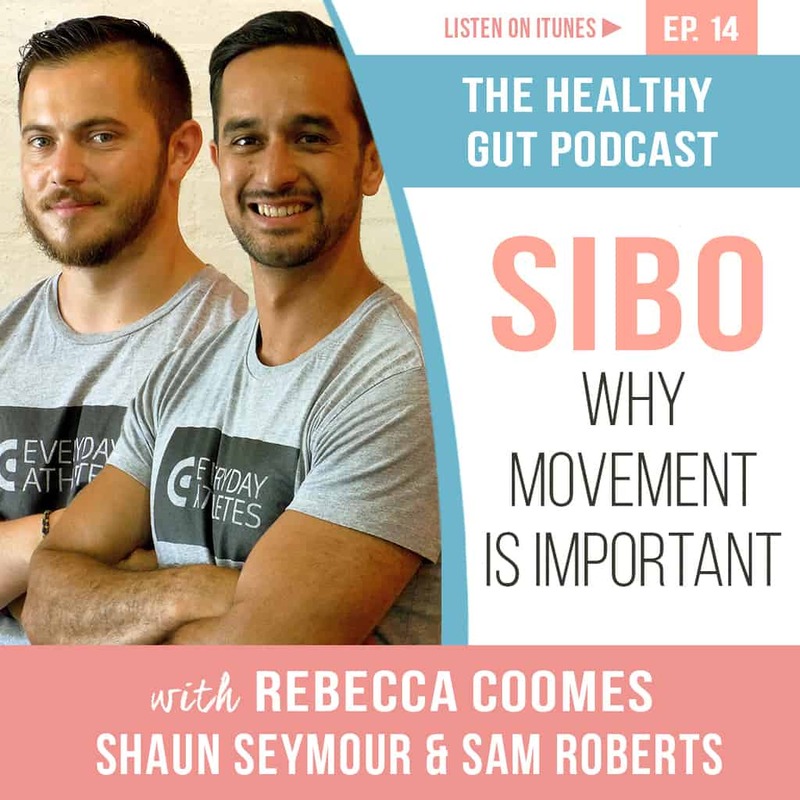 In today’s episode of The Healthy Gut podcast, Rebecca chats to Shaun Seymour and Sam Roberts, both qualified nutritionists and personal trainers, about the role movement has in our journey to recovery. Perseverance when we have SIBO is an important matter, from diagnosis through to treatment. George Clingan understands well the issues that people with SIBO can be faced with, being someone that has SIBO. He talks with me, in depth, about the five key pillars to health; awareness, mindset, movement, lifestyle and nutrition and how, with support and perseverance, we are better placed to cope with the issues surrounding SIBO. From time to time we all become concerned about whether we are getting enough sleep, especially when we have SIBO as our bodies need time to rest and recuperate. It can be hard to know how much we need and why we need it. In this episode of The Healthy Gut Podcast we investigate sleep and thyroid issues with Dr Michael Ruscio. Inflammatory Bowel Diseases can be painful, debilitating and embarrassing. They can render people feeling weak, fatigued and very unwell. 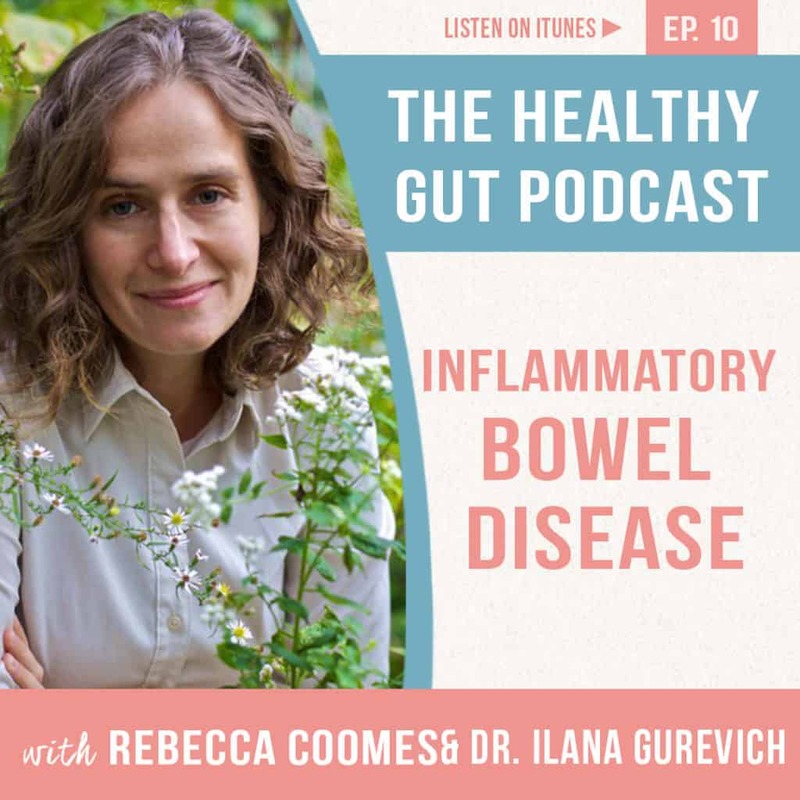 In today’s episode of The Healthy Gut podcast, Rebecca chats to Dr. Ilana Gurevich, a naturopathic doctor who specialises in working with people with with IBDs, SIBO and GI complaints about how she treats these conditions and can support them to live a healthier, happier life. Kids can often experience digestive pain and discomfort, or altered bowel movement with diarrhoea and constipation. Did you know this could be caused by Small Intestinal Bacterial Overgrowth? 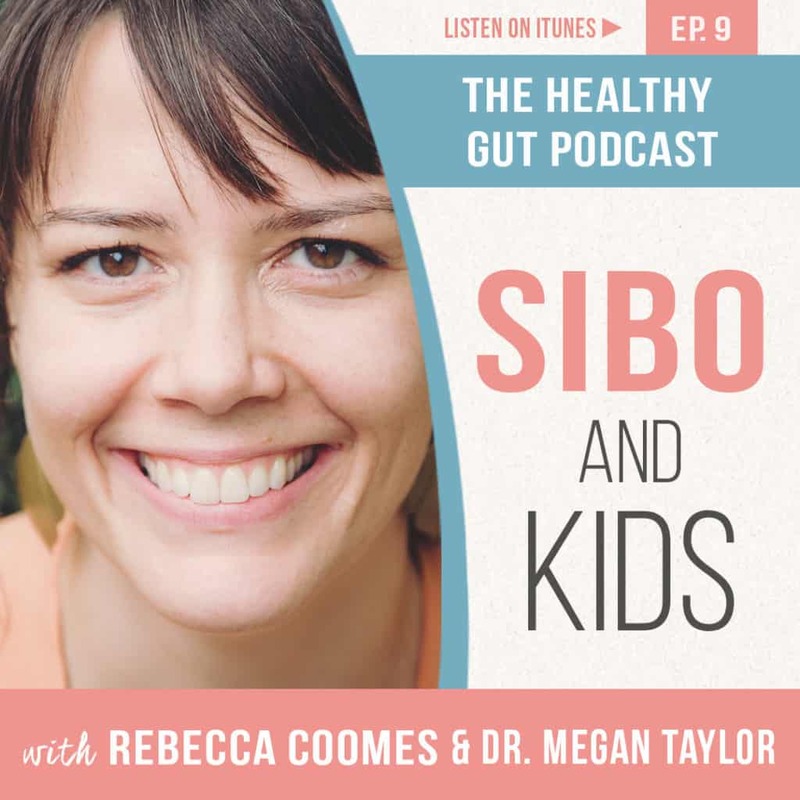 In today’s episode of The Healthy Gut podcast, Rebecca chats to Dr. Megan Taylor, a naturopathic doctor who specialises in working with kids with SIBO and digestive complaints about how she treats young people with this often chronic and painful condition. SIBO can be a debilitating condition for many people so it is important to become your own private investigator to really understand what went wrong in your body to allow SIBO to occur. 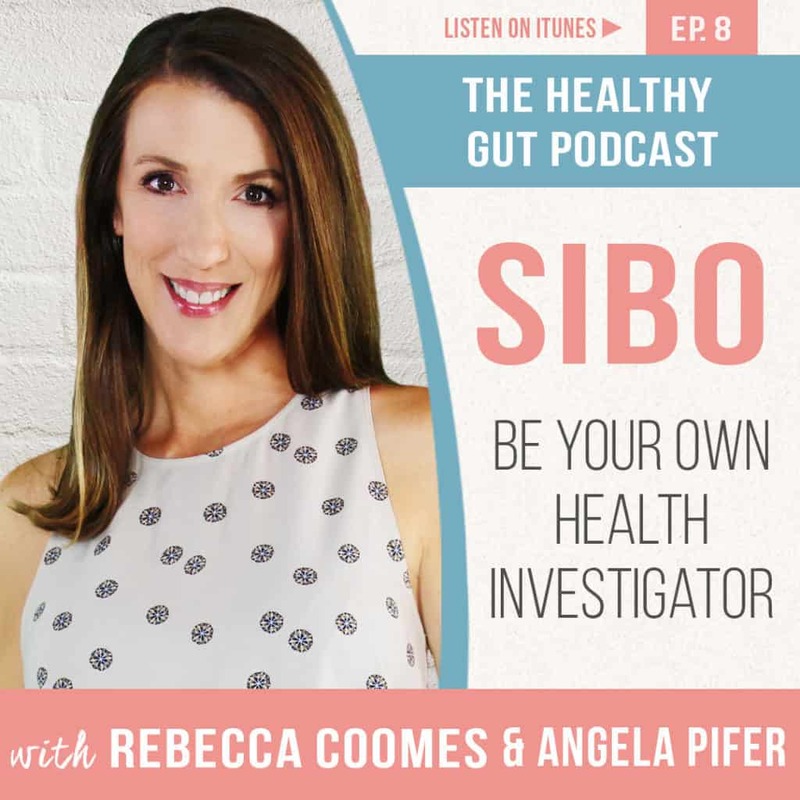 In today’s episode, Rebecca talks to functional medical nutritionist aka SIBO Guru, Angela Pifer, about the importance of really listening to your body. 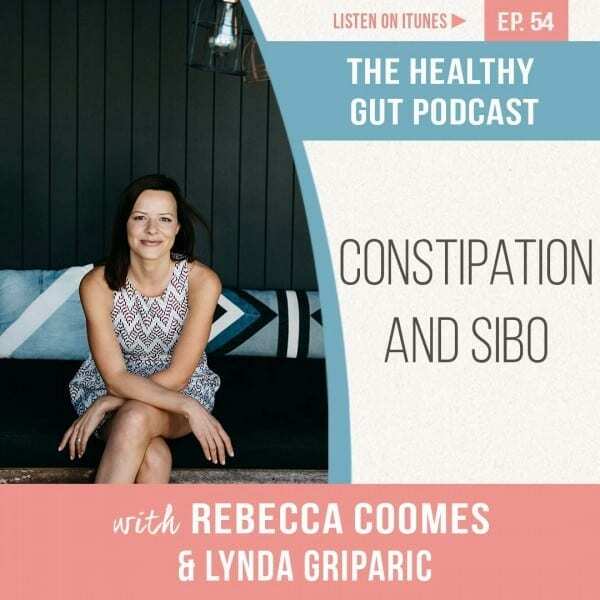 Treating SIBO is a marathon, not a sprint, so taking In today’s episode of The Healthy Gut podcast, Rebecca Coomes talks to functional medical nutritionist aka SIBO Guru, Angela Pifer, about the importance of really listening to your body. Treating SIBO is a marathon, not a sprint, so taking time to find what works for you can have a positive impact. Have you ever been driven crazy with a crawling, tingling, itsy feeling in your feet or legs? Or perhaps you have experienced persistent redness on your facial skin that won’t go away. 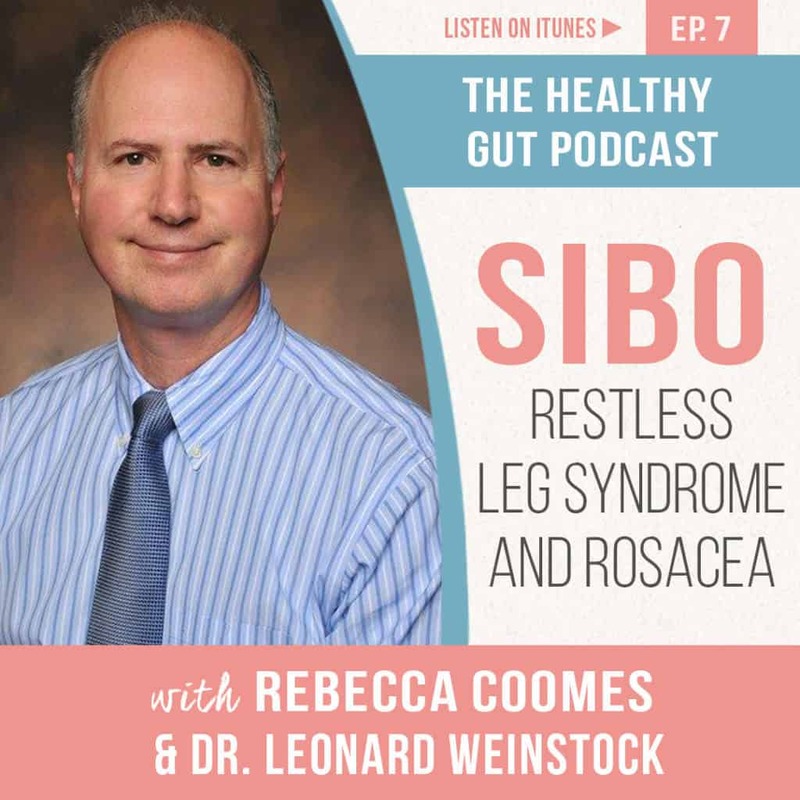 In this episode of The Healthy Gut Podcast, Rebecca Coomes talks to gastroenterologist Dr. Leonard Winestock about why Restless Leg Syndrome and Rosacea are connected to the gut and SIBO. Do you want to hear how one woman successfully beat Small Intestinal Bacterial Overgrowth while also dealing with other medical conditions? 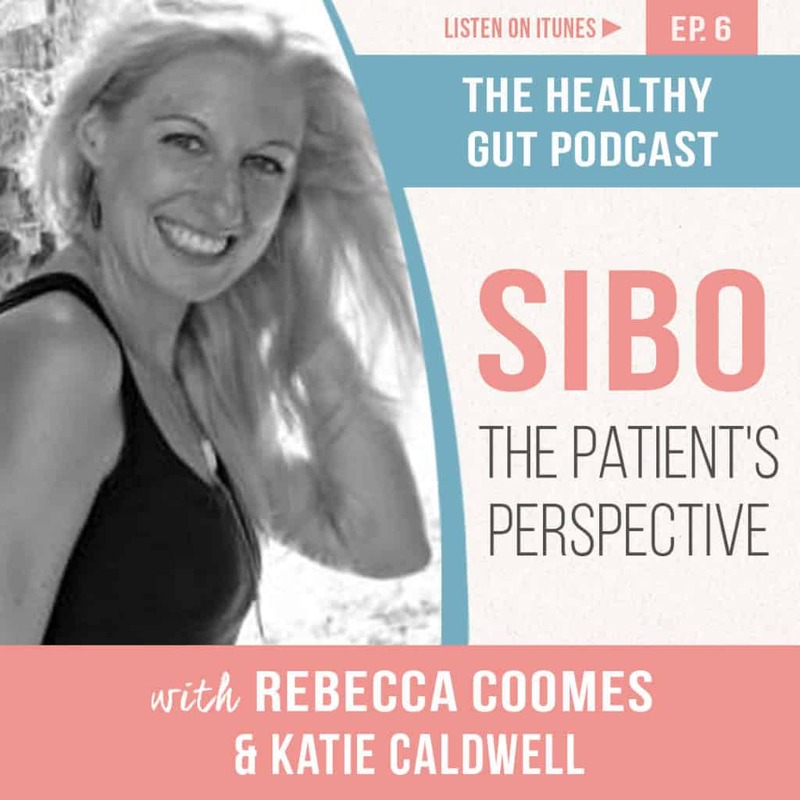 In this episode of The Healthy Gut Podcast, Rebecca Coomes talks to Katie Caldwell, a fellow SIBOer who is a SIBO patient success story. She has beaten SIBO and kept it away. 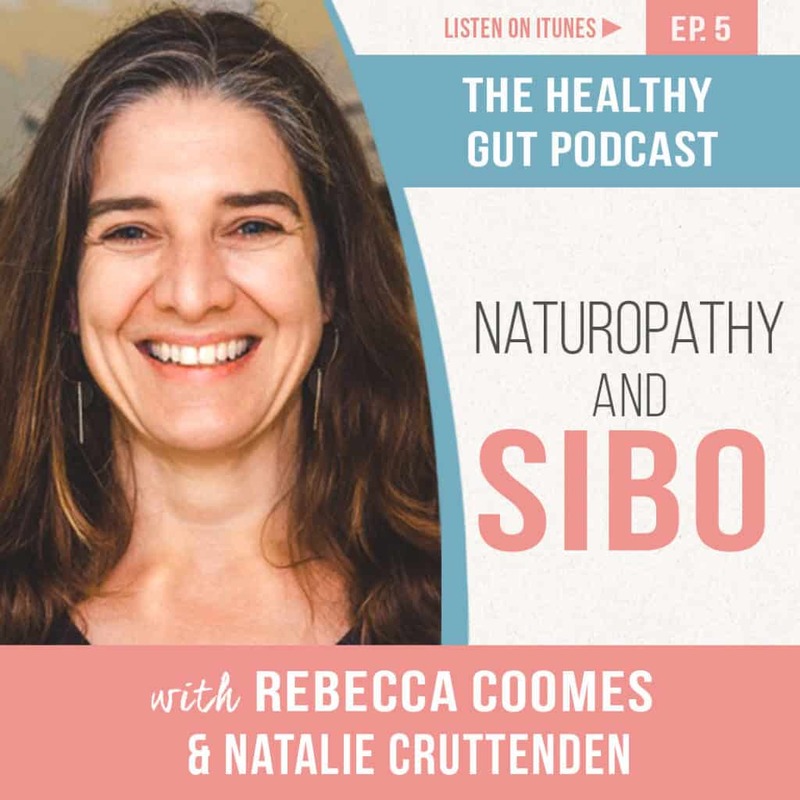 Are you interested in learning how a naturopath treats Small Intestinal Bacterial Overgrowth (SIBO) and how their approach may be different to a doctor? 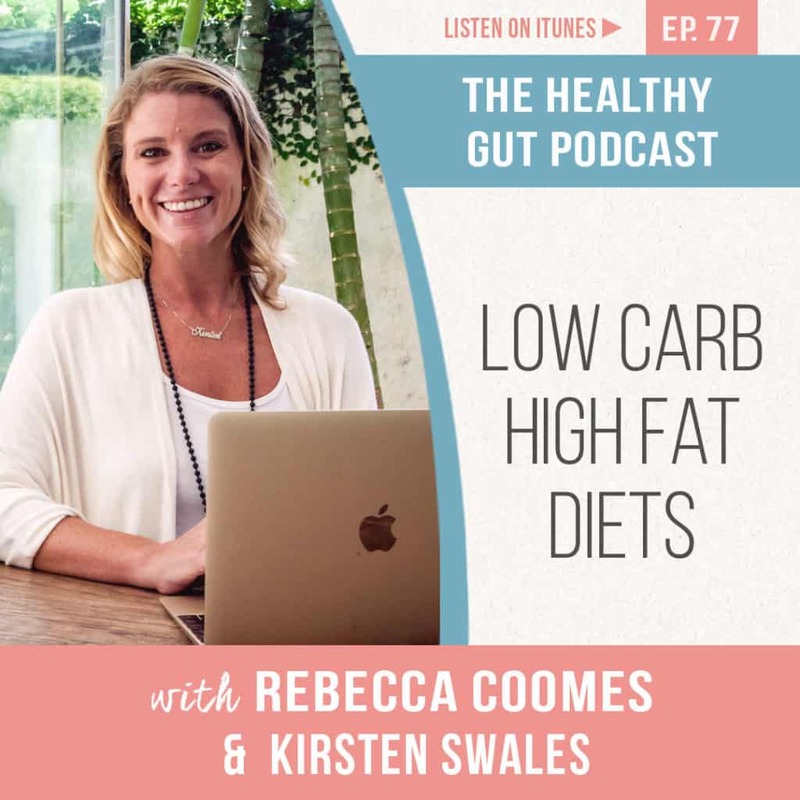 In this episode of The Healthy Gut Podcast, Rebecca Coomes talks to the woman she credits for changing her life, her naturopath Natalie Cruttenden. Do you have hydrogen or methane dominant SIBO? Understanding what type of SIBO you have is an important aspect of your treatment program and ultimate recovery. 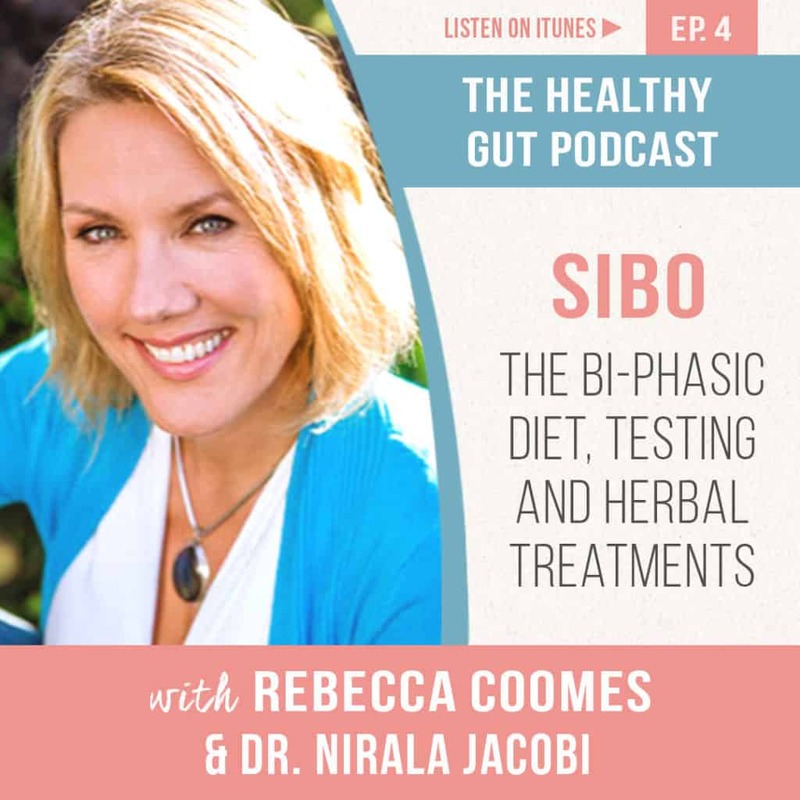 In this episode of The Healthy Gut Podcast, Rebecca Coomes talks to Australia’s leading SIBO specialist, Dr Nirala Jacobi about testing options and her diet protocol, the SIBO Bi-Phasic Diet. Small Intestinal Bacterial Overgrowth (SIBO) is estimated to affect 60% of people with Irritable Bowel Syndrome (IBS) yet is largely unknown. This is the second part of a two-part interview with the Queen of SIBO, Dr. Allison Siebecker. In this episode of The Healthy Gut Podcast, Rebecca Coomes talks to Dr. Siebecker about how to live with SIBO, especially when you react to everything. 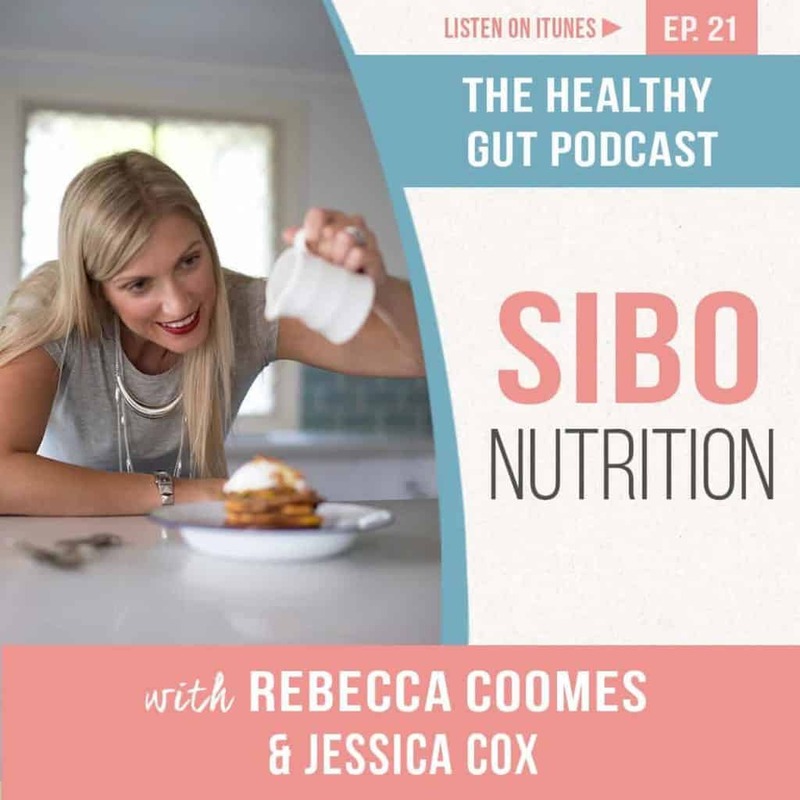 If you haven’t listened to Episode 2: Understanding SIBO with Dr. Allison Siebecker, we recommend you listen to it prior to this episode. You can listen to it here. Small Intestinal Bacterial Overgrowth (SIBO) is estimated to affect 60% of people with Irritable Bowel Syndrome (IBS) yet is largely unknown. 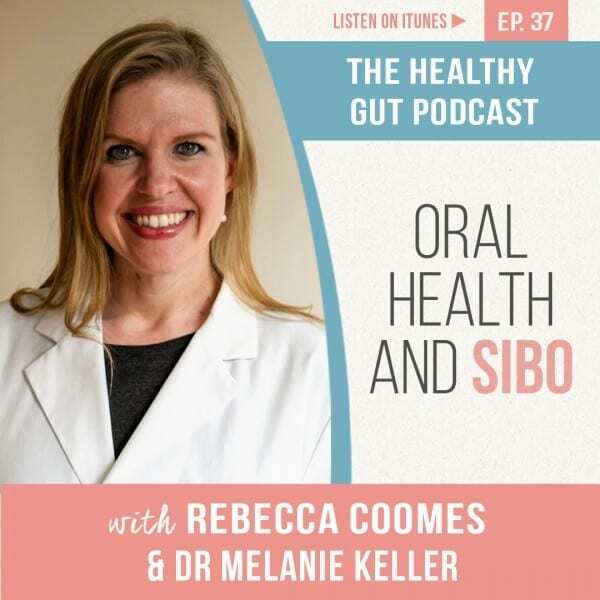 In this episode of The Healthy Gut Podcast, Rebecca Coomes is joined by the Queen of SIBO, Dr Allison Siebecker to discuss this condition and about understanding what is SIBO exactly. Plus, included in this episode is a free download of our SIBO guide, giving you an easy checklist of the causes, risk factors and associated conditions. It can be difficult to remain positive when you are suffering from chronic illness, especially one that is invisible because it is in the gut. 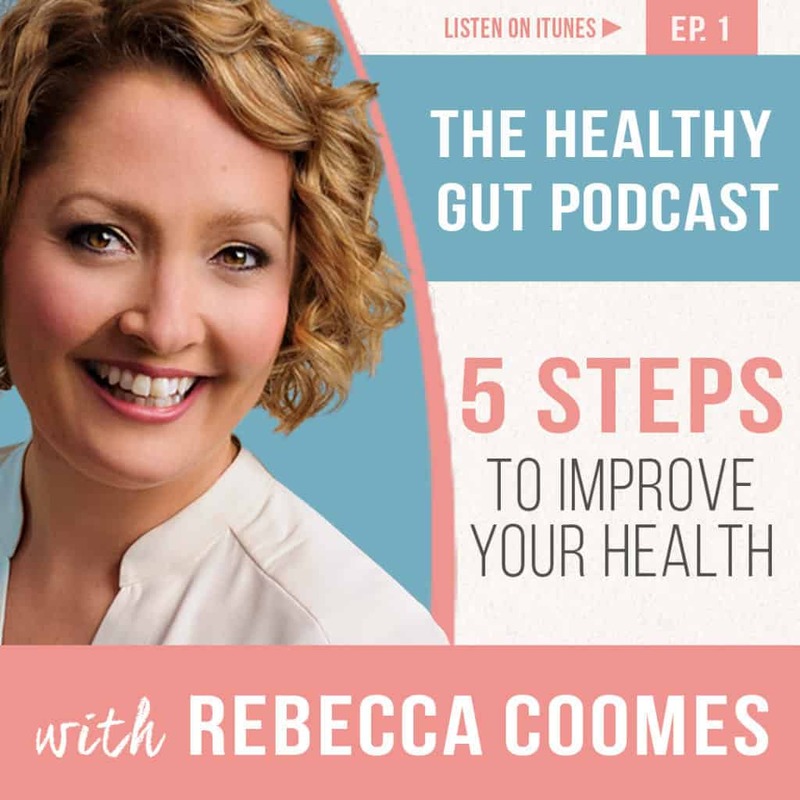 In this episode of The Healthy Gut Podcast, host Rebecca Coomes discusses her own journey to health and how she developed the 5 pillars to health and the keys to truly reforming not just her health but her vitality and life. Plus, included in this episode is a free download of the 5 pillars to health, giving you practical tips you can apply today to support your own health journey. I wanted to let you know that I really enjoy your podcast and have learned a lot. Keep up the great work! I can’t thank you enough for your work regarding sibo. I found your website last month upon learning I have sibo and it’s a goldmine of information! I just wanted to say I’m loving your podcasts, they’re always so informative so thank you for doing them! Hi Marge, you can listen to the podcasts here on the website. Just click the podcast you are interested in, and it will take you to a new page, where you will be able to see a play button. Click on that and the podcast will start playing. Alternatively, you can listen to the episodes on iTunes, Google Play or Stitcher. Just click the images for each of those platforms (above) and they will direct you to the podcast. If you still need help, feel free to email us at info@thehealthygut.co.